I am so excited to partner with simplehuman because I love all of their products! 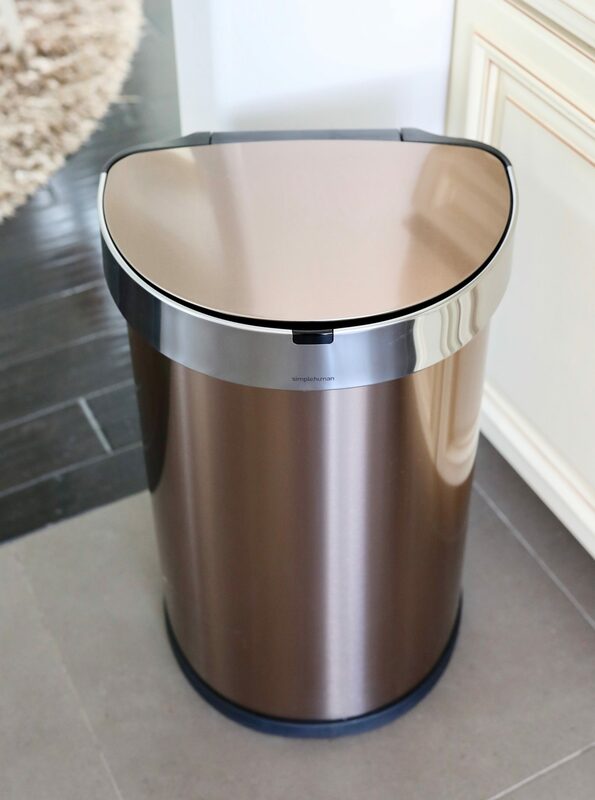 I recently decided that I wanted to upgrade my old simplehuman Step Can, and I found the perfect replacement with their new Semi-Round Sensor Can! It’s the perfect size for my kitchen, and I am obsessed with the chic rose gold color! The new simplehuman Semi-Round Sensor Can adapts to all my tasks! 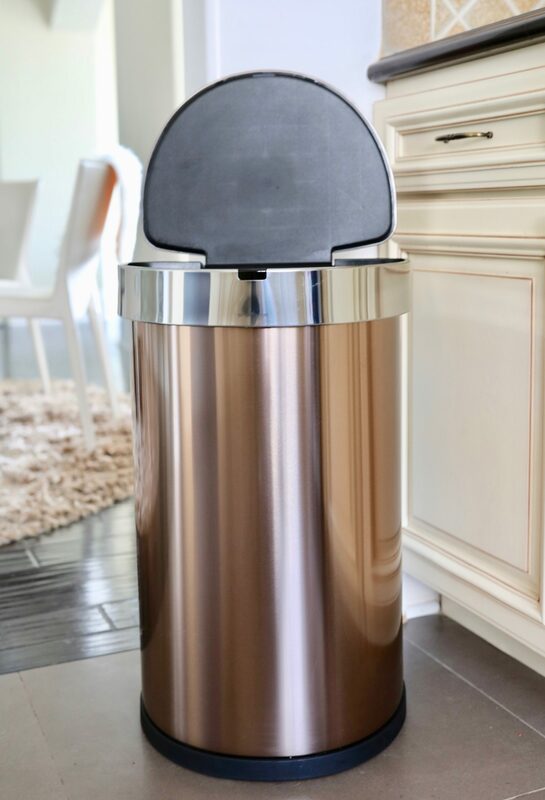 The sensor is so sensitive that when I’m using it, it doesn’t close unexpectedly – unlike other automatic trash cans, this one is not on a timer, so it won’t close on you while you’re still using it! 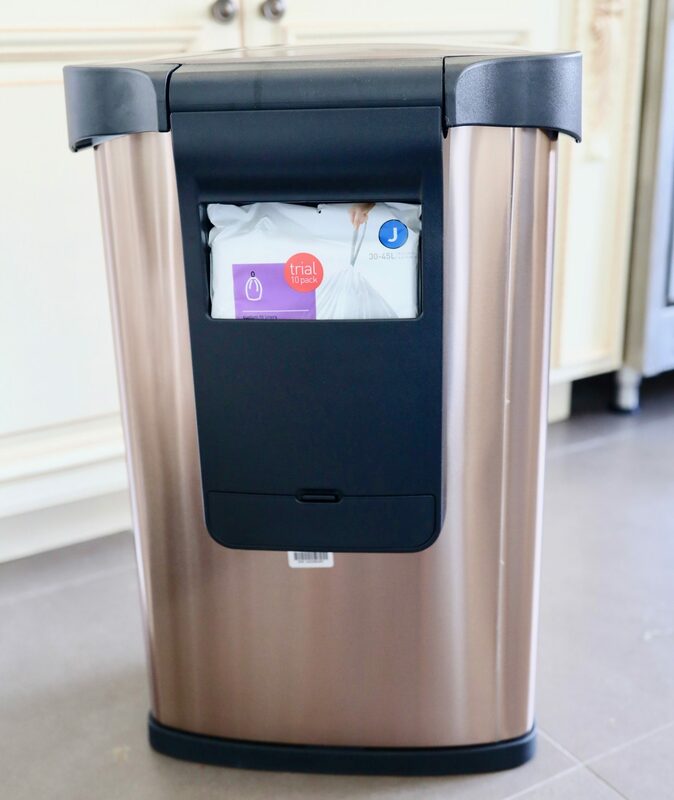 The Sensor Can also has an innovative ‘liner pocket’ in the back that stores and dispenses the liners for a faster change and hides the edges of the trash can, so it always looks sleek. 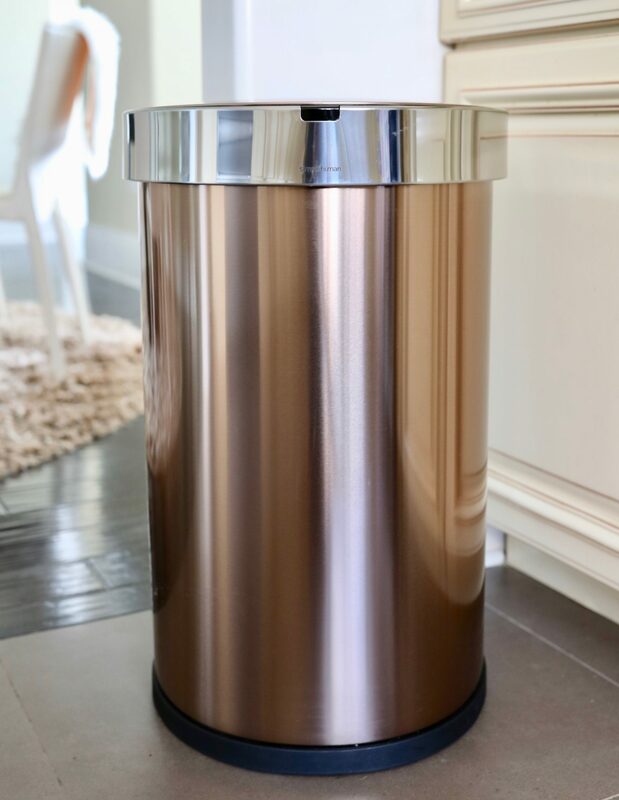 Not only does this trash can not distract from my home’s décor, it enhances it! I mean, how gorgeous is this!? I am especially obsessed with the motion sensor as the infrared fields can sense the area above and in front of the can so it opens automatically with the wave of your hand! It makes life so much easier - I know it might sound silly, but this is really one of those “once you try it, you’ll never want to go back” situations! The planetary gear system transfers speed for smooth and consistent lid operation and its 50% quieter than other brands! They’ve thought of everything! So, when are you upgrading? 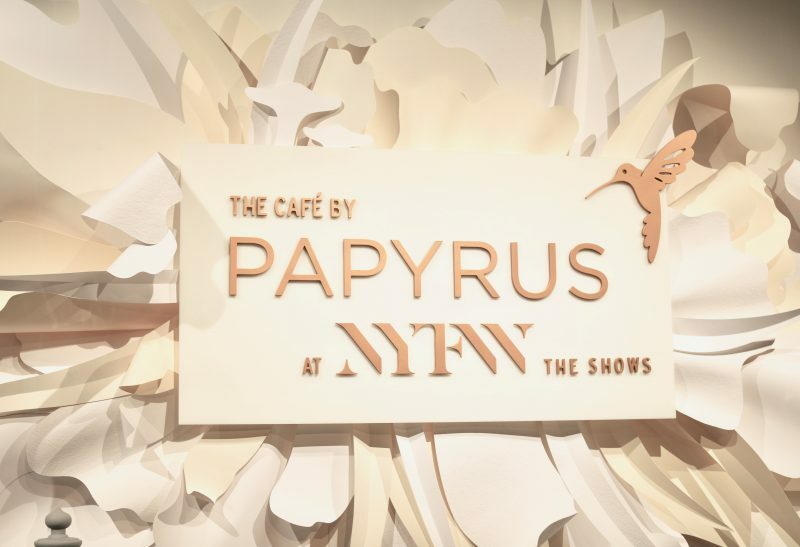 Papyrus and NYFW: The Shows are the match made in heaven and its that time again when they bring all the magic to NYFW! 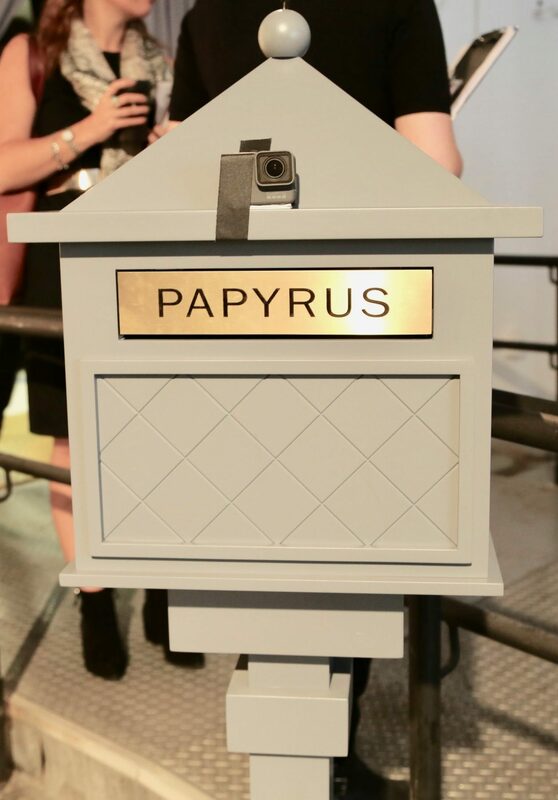 At this point, I think it wouldn’t feel like fashion week without Papyrus! 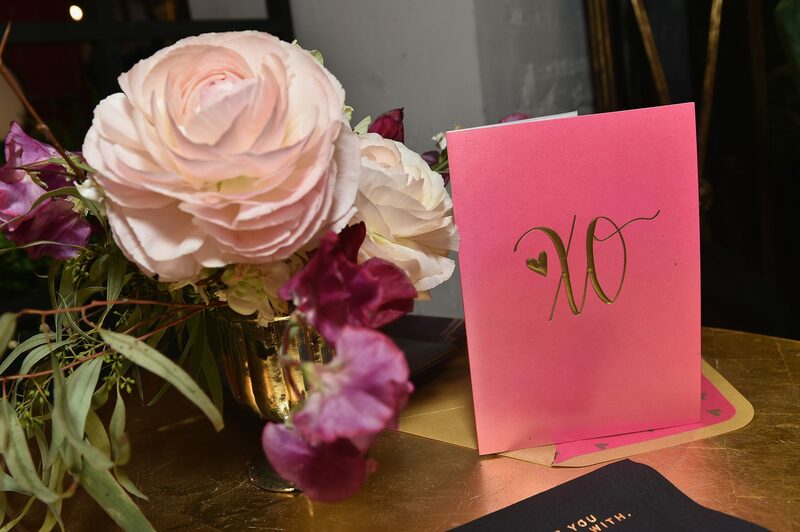 As they enter the 12th season as the official greeting card sponsor of NYFW: The Shows- they brought even more of an experience this season to fashion week! Papyrus exudes beauty, detail, self-expression, and love in everything they are do! 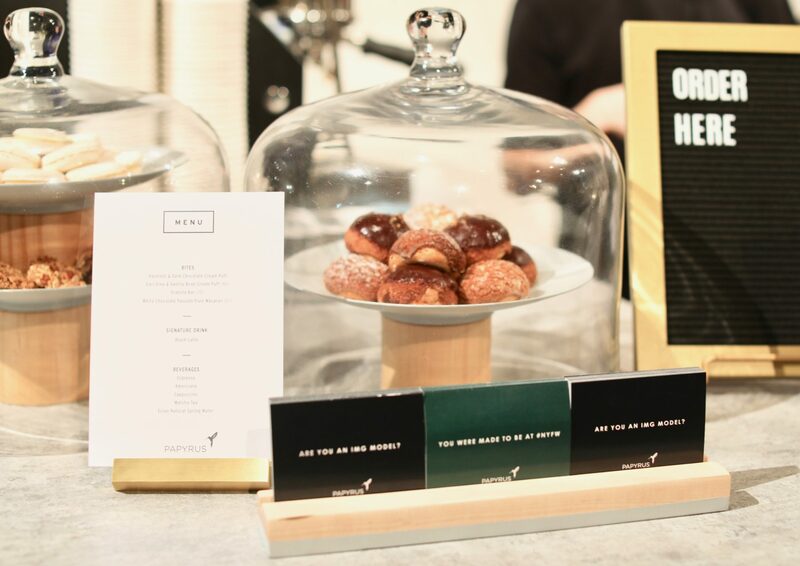 This season their presence at fashion week was a fully-immersive experience with the return of the Café by Papyrus, fun activities, and collaborations with world-renowned designers. They inspire not only during fashion week, but EVERYDAY! 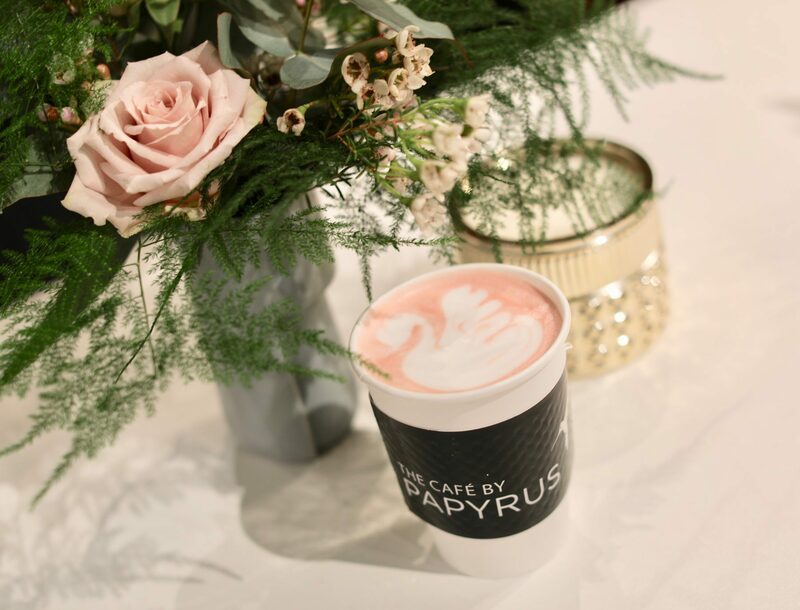 Papyrus always has the perfect set up to refuel with a new signature drink, recharge, and relax during this hectic time of the year! How perfect is the set up this year in Spring Studios? 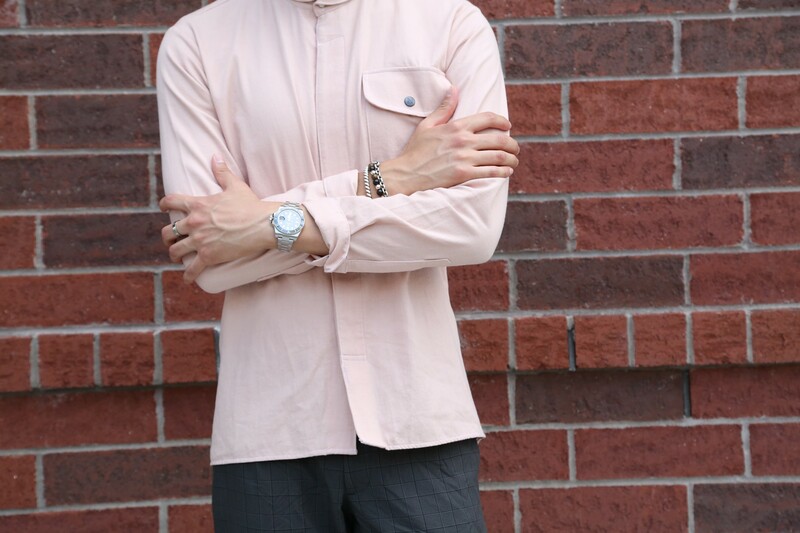 I love the vintage yet modern feel this season! Not to mention, It’s also always the perfect time to check out and stock up on all your favorite Papyrus cards! Papyrus has always been known for their premium handcrafted paper goods and for their attention to detail, and they have always had a connection to fashion and to the arts. How beautiful is this display?! So relaxing to just chill out in between shows and look at the beautiful cards- it’s truly not just a card, but a piece of art. But first, cofffe- right?! I’m always looking forward to the new signature drink and snacks to help you get through this crazy time of the year! 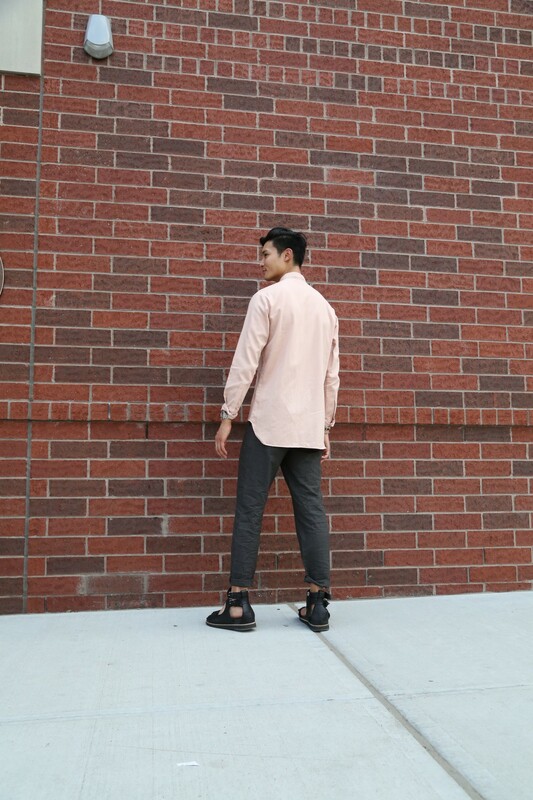 My favorite this year was to get the Blush Latte. It was delicious and beautiful at the same time! And what is a cup of coffee or tea without a sweet treat?! There was so much to offer from hazelnut & dark chocolate or earl grey & vanilla bean cram puffs, granola bars, to white chocolate passion fruit macarons! My favorite was the hazelnut & dark chocolate cream puff! Literally got 10 a day! 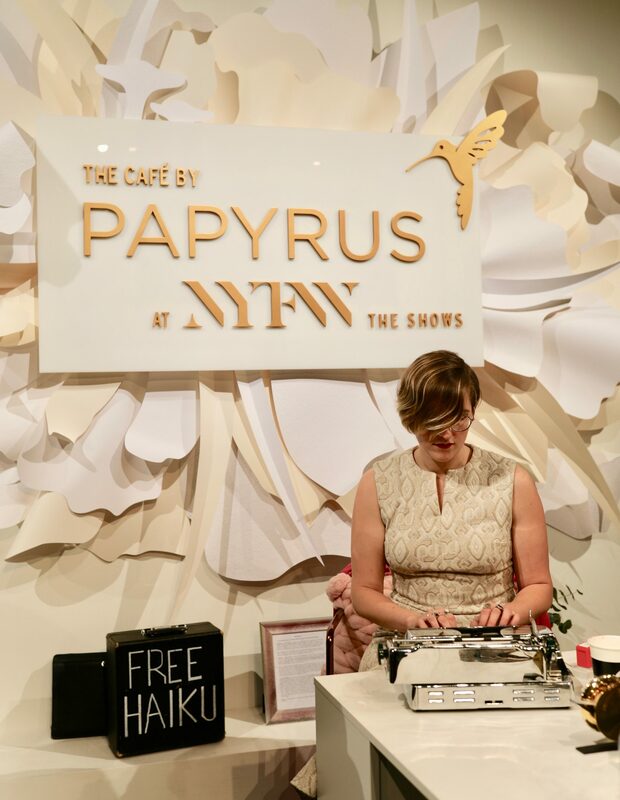 One of the most special and unique parts of The Café by Papyrus was haiku poet, Lisa Ann Markuson from the Haiku Guys + Gals group, who was at the café everyday to customize fashion week attendees with a special haiku written on the spot. How special is that? Only Papyrus would think of something so genius! This haiku was personally written for me was so personal and touching. Every person that got a haiku written left with so much happiness, hope, and inspiration. This was truly one of my favorite activations in all 12 seasons! We can never forget all the beautiful Papyrus cards handed out during the week! 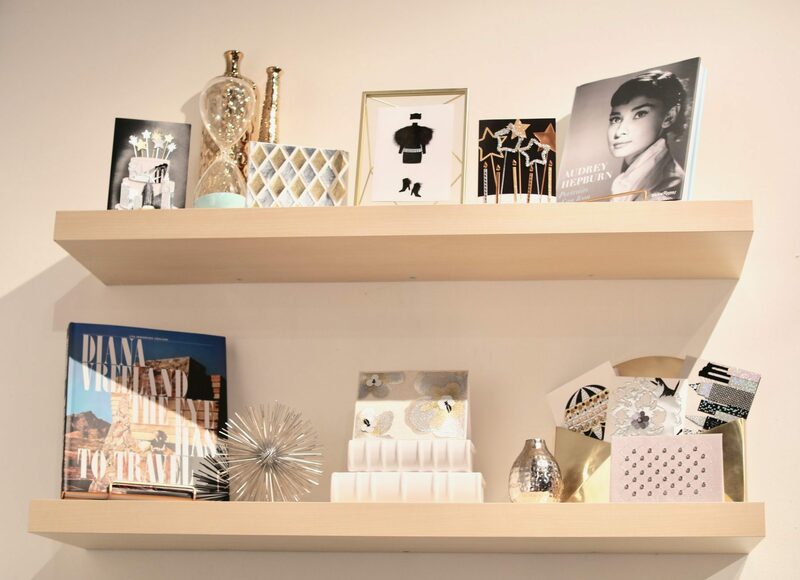 Papyrus’ cards truly show so much attention to detail, innovative and cutting-edge treatments, premiere artist and world-renowned designer collaborations, and not just cards but new product categories like entertaining and desk accessories! Everyday, there were 2 different cards being handed out by the Papyrus team and you can only imagine the look of sadness and frustration if they ran out of cards for the day! I always love how easy and fun Papyrus would make it to mail your loved ones (no matter where in the world they were) and spread the joy and beauty of Papyrus from their café at Spring Studios! I was sure to mail out all my Valentine’s Day cards on time in between shows! This year, Papyrus had one of the most powerful movements I’ve seen with a “Beautiful Statement Walk”! 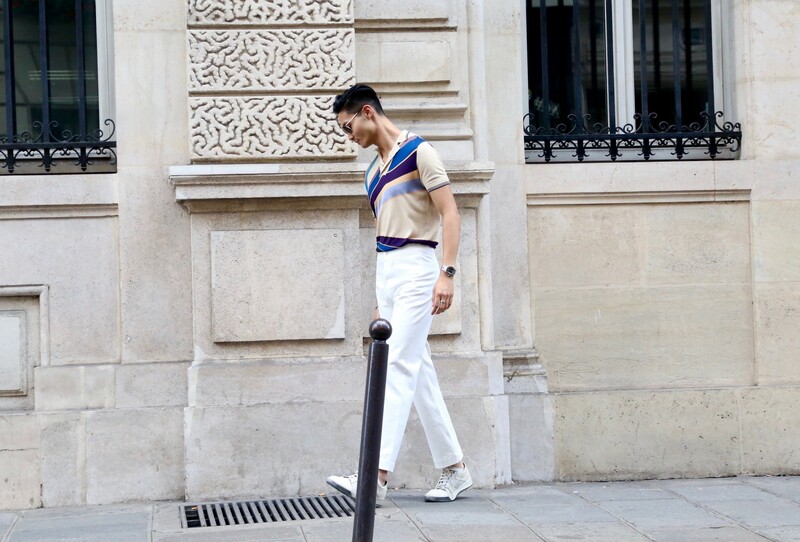 The brand partnered with noteworthy fashion designers Prabal Gurung, Jonathan Simkhai. 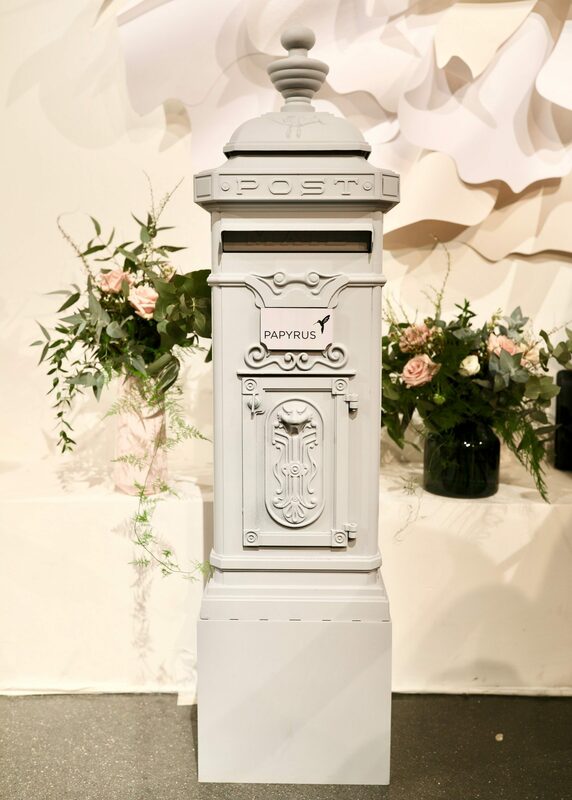 These designers have all made an impact on the fashion industry in their own unique way, and together with Papyrus they created empowering and inspiring works of art called and installed them backstage at the shows! Take a look at each designer’s twist on the concept! Papyrus successfully collaborated with the designers to incorporate the designers' collections with the beautiful statement boards! They took the concept of walking directions and infused it with their usual creativity and beauty and really brought these words of CONFIDENCE to life! In the world today, with all the pressures to conform, this is such an important message to everyone. I loved how different all the designers collaborations were! There was just so much fun going on! One of my favorite collaborations was Papyrus x Judith Leiber! You can only imagine how excited I was to hear about another collaboration between my favorite cards and my favorite accessories! 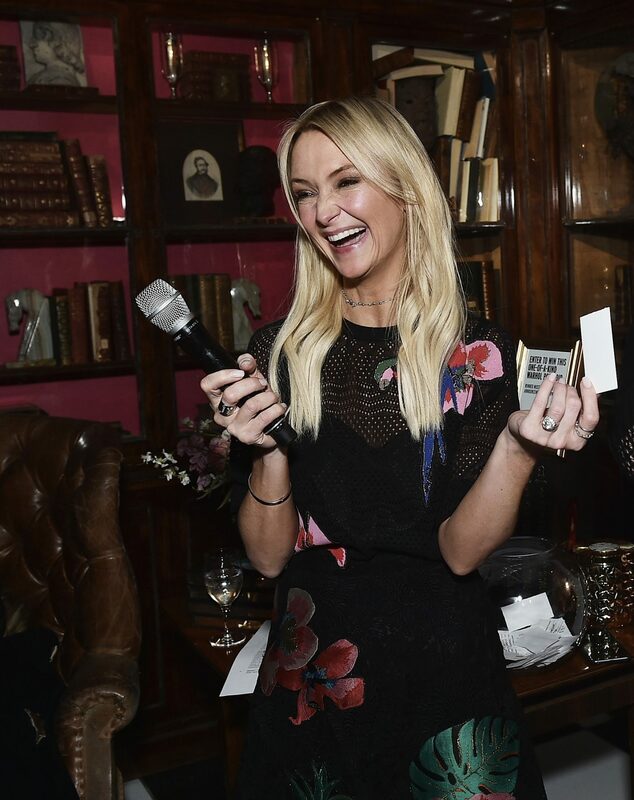 I had so much fun attending the Papyrus x Judith Leiber Party that kicked off NYFW: The Shows! 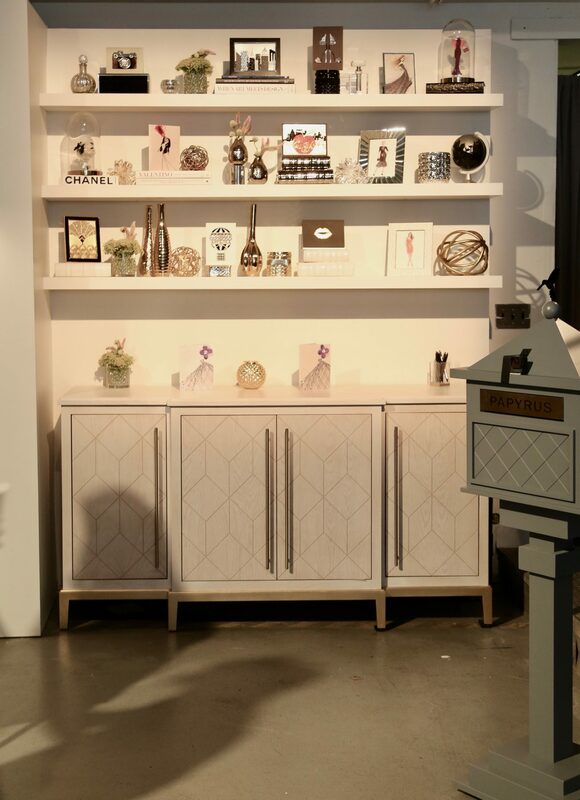 Dee Ocleppo collaborated with Papyrus on this collection and she is having all the photobooth fun seeing the Judtih Leiber Bag translate to the gorgeous Papyrus card! 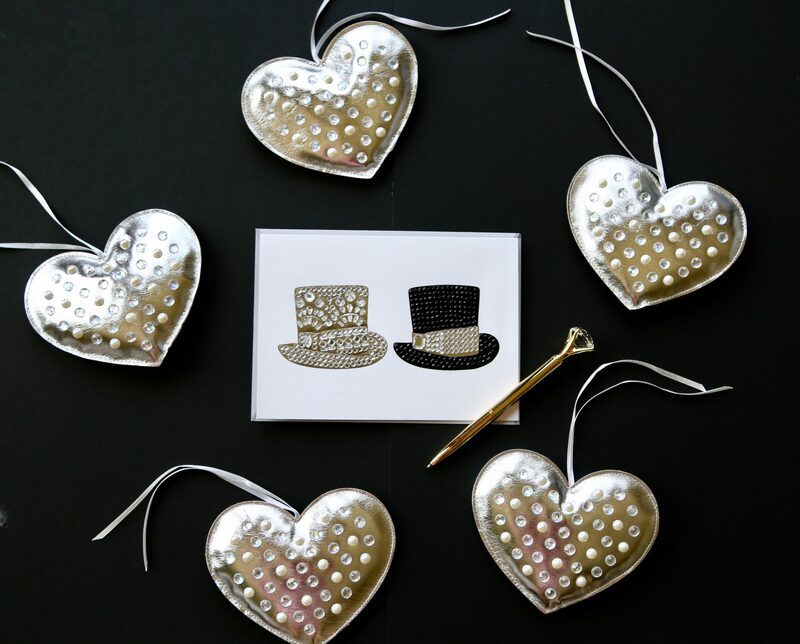 How gorgeous are the new Papyrus x Judith Leiber cards!!?! I am obsessed!!!! Per usual! Papyrus cards truly elevate everyday moments into the most magical events, and as everyone knows by now, I only get my cards from Papyrus! 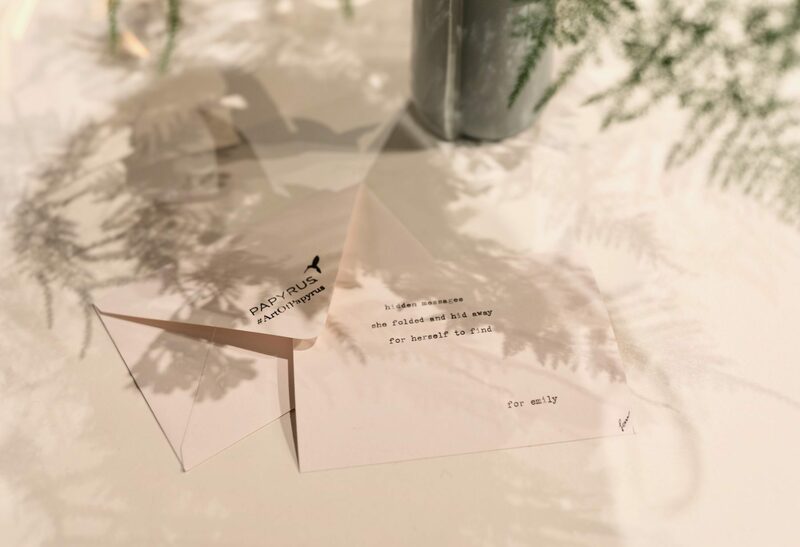 They truly make every moment you are celebrating that much more special, and even with an already amazing event like NYFW- it gets taken on a whole new level by Papyrus every season! I can't wait to see what magic they come up with next season! In partnership with Papyrus! All opinions are my own. 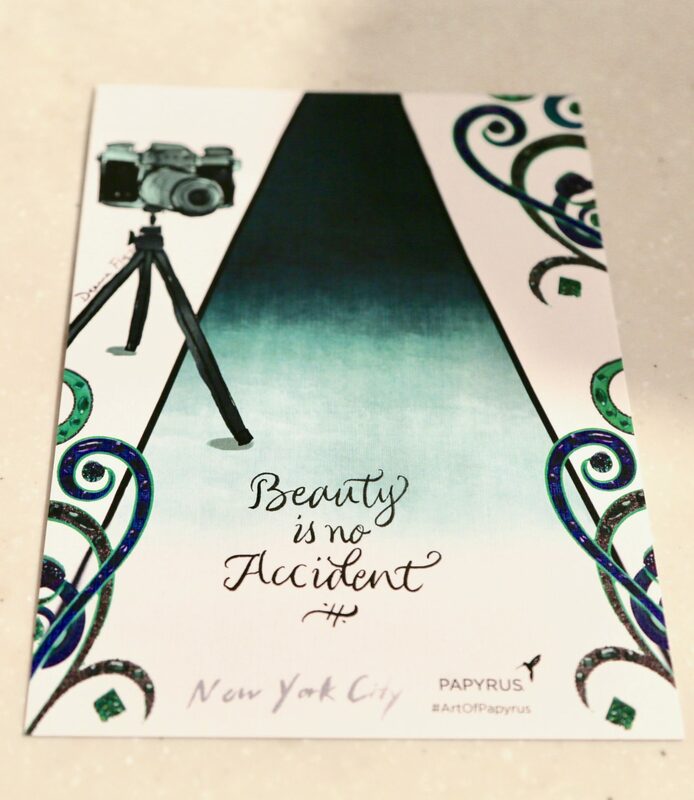 I’m always super excited for New York Fashion Week, and I love that Papyrus is a part of it too! I always look forward to seeing the beautiful cards they have on display (I always stock up)! 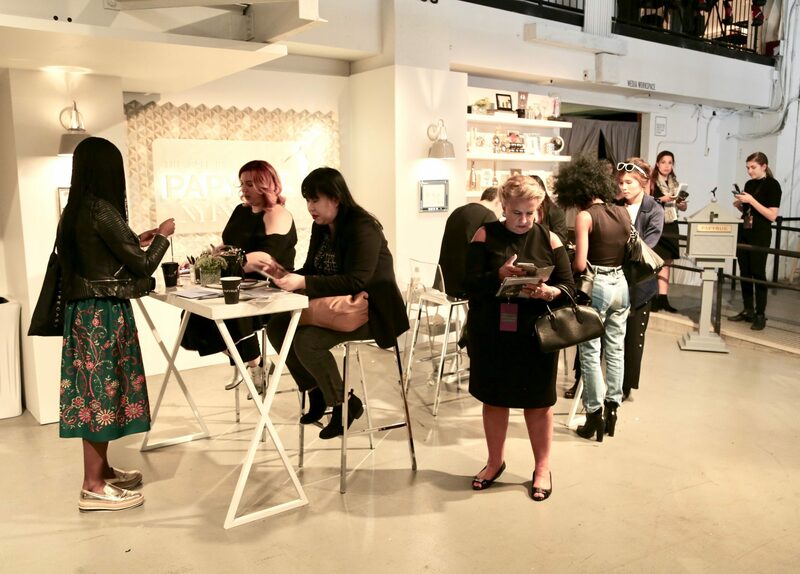 This September, Papyrus celebrated their 11th consecutive season at NYFW: The Shows! Every season with Papyrus is better then the last! Papyrus’ week long activation had so many fun things to check out at the center of Skylight Clarkson, specialty drinks, complimentary cards (so gorgeous! ), and so much more! Everyone was enjoying the Papyrus Café at Skylight! 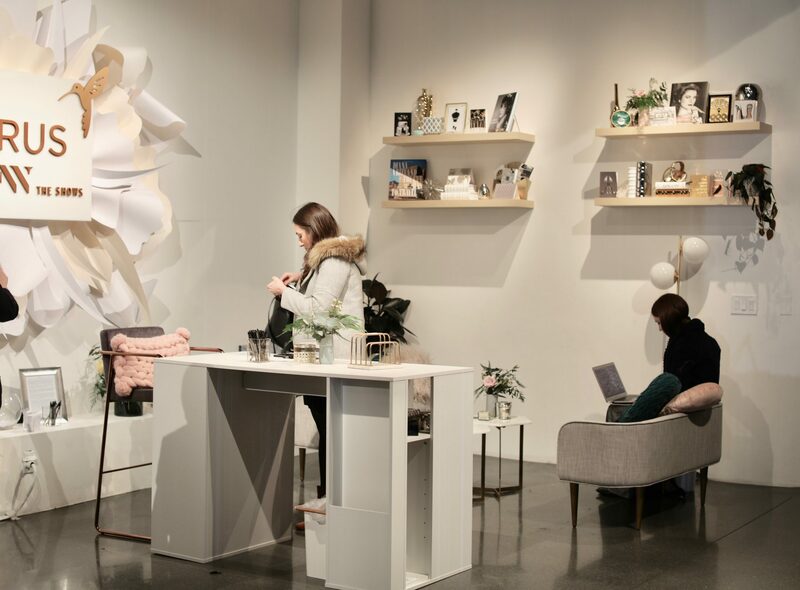 It was the perfect place to relax, refresh, and check out at all of their beautiful cards and fun activations between shows! 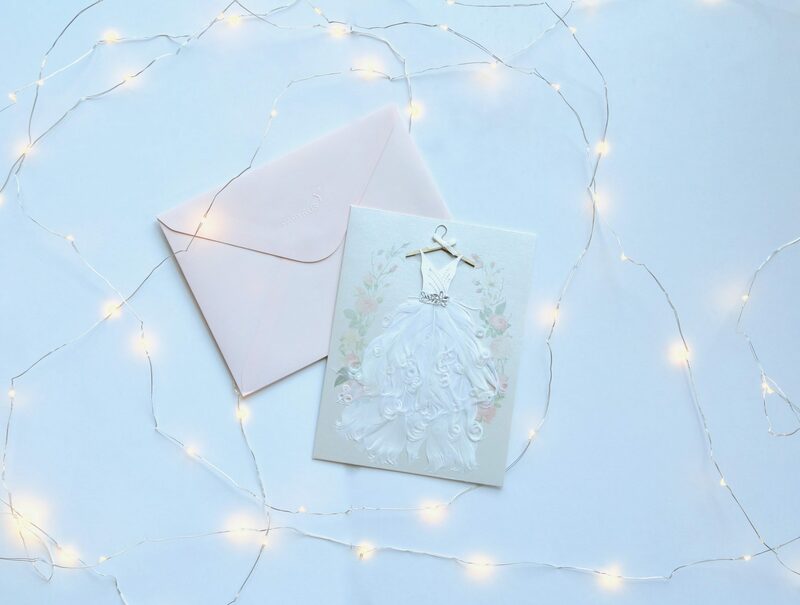 Papyrus has always been known for their premium handcrafted paper goods and for their attention to detail, and they have always had a connection to fashion and to the arts. Papyrus has had so many beautiful collaborations with premiere artists and world known designers. How gorgeous is this display?! I can spot two of my favorite designer collaborations - Judith Leiber Couture and Lela Rose! These cards make such a statement - I even framed some of them as artwork in my home! Everyday, there were 2 different cards being handed out by the Papyrus team. To make things even more fun, you are able to send them to your loved ones and spread the joy and beauty of Papyrus straight from their café at Skylight Clarkson! 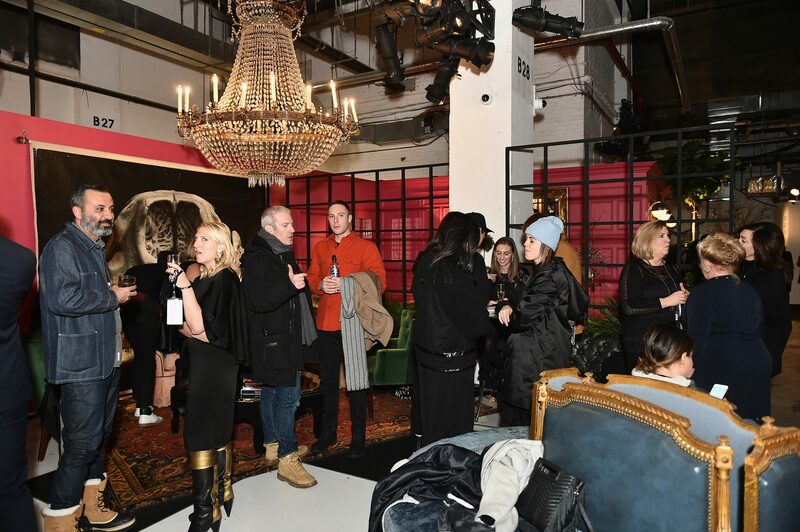 New York Fashion Week is always exhausting and show goers need a place to refresh and recharge! I loved how the café was so much more interactive this year! 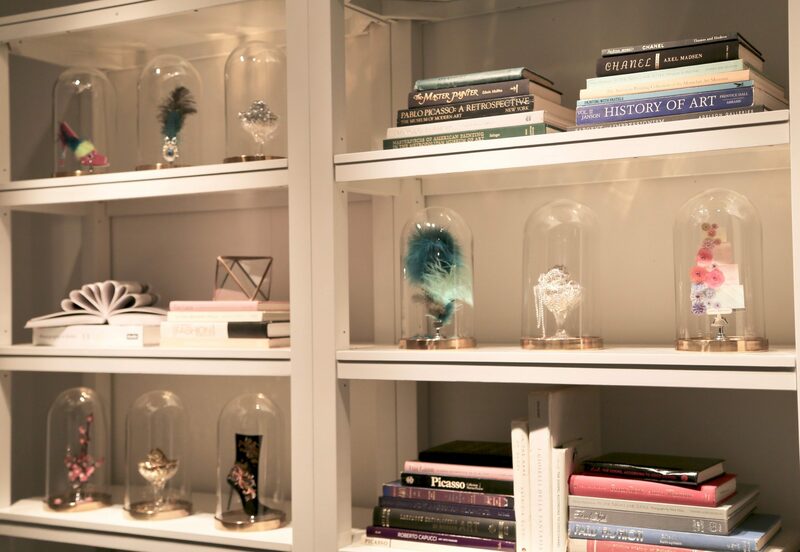 The beautiful display in the back with the cards and coffee books were such a beautiful touch and there were fun custom compliment cards to hand out for fun! The drinks were delicious and I loved all the specialty drinks they had – depending on how my day was going, I would grab a coffee, tea or LifeWater! I was just obsessed with these displays showing different elements from their cards. The attention to detail that every Papyrus card has is amazing, and I love how handmade and unqiue each card truly is. They are just so special! So many goodies! These were my favorite drinks! The lavender latte was a huge hit with everyone, and I love everything lavender! And I couldn’t stop drinking the Vietnamese coffee! 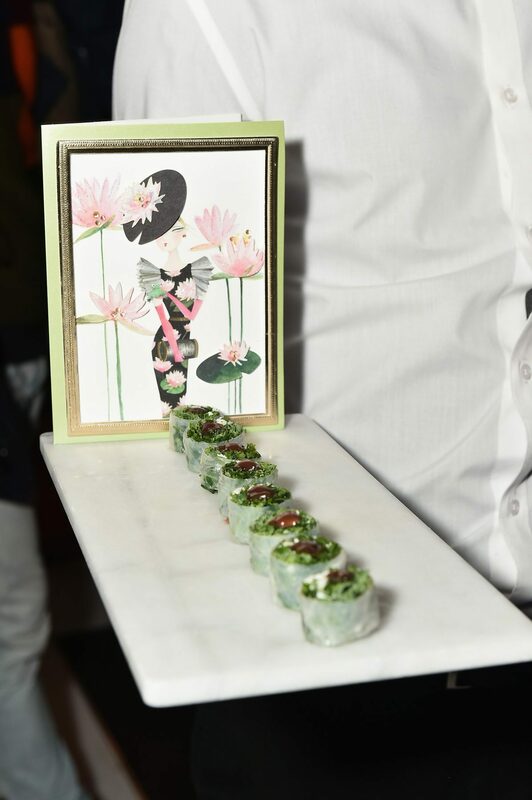 I just love sweets, so the adorable macarons with the signature Papyrus hummingbird was a great way to start fashion week! 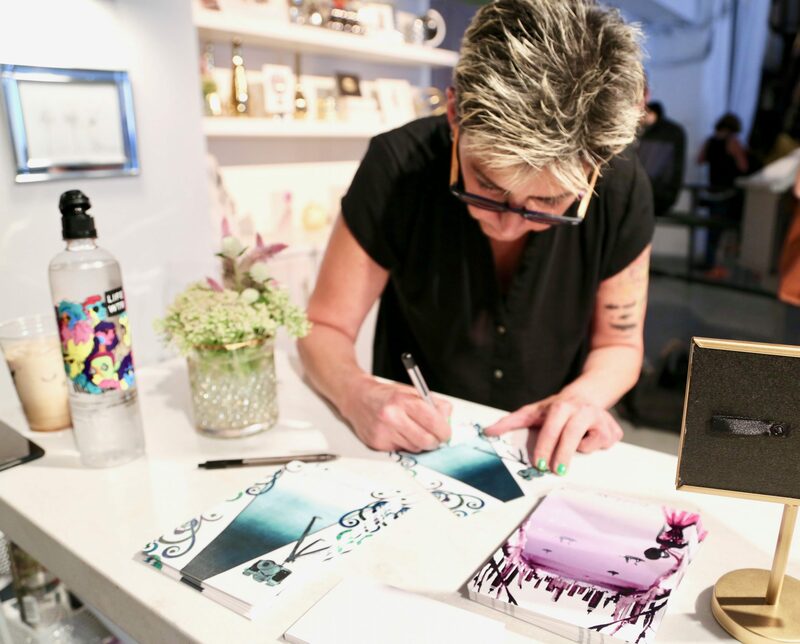 One of the most special and unique parts of The Café by Papyrus was a hand-lettering artist, Angie Durbin, who was at the café everyday to customize fashion week inspired illustrations and select Papyrus cards! I mean, how beautiful is her lettering!? Can you guess which phrase I picked? 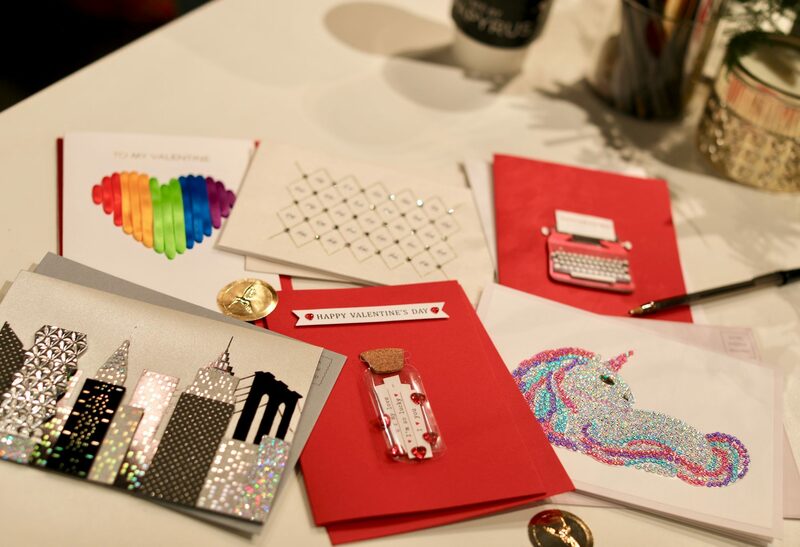 I also loved the beautiful and on-trend design of the stationary! I picked the Central Park stationary for myself and the New York skyline stationary for my brother! How perfect did this turn out?! This a super cool photo-ready art illustration by artist Deanna First It was so fun to be able to take such a special piece back with me from fashion week! Papyrus just thinks of everything! There’s nothing I love more than a beautiful card, and as everyone knows by now, I only get my cards from Papyrus! 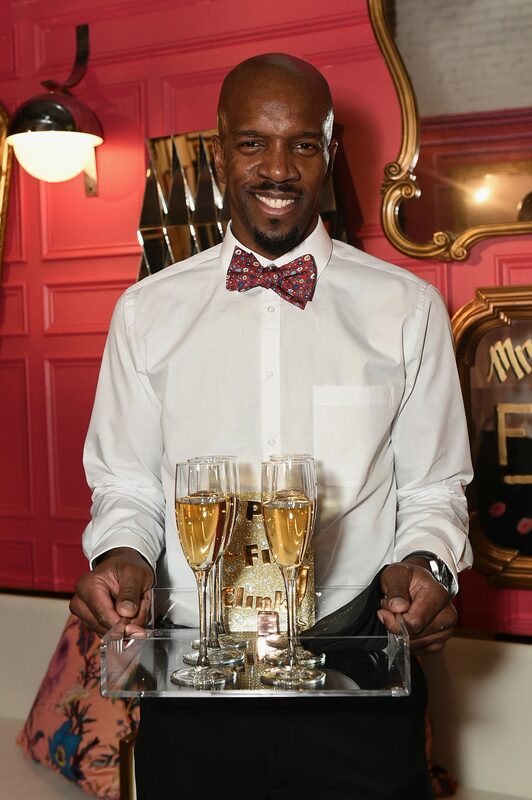 They truly make every moment you are celebrating so special, and even with an already amazing event like NYFW gets taken on a whole new level by Papyrus every season! I can’t wait to see what they come up with next season! Always the most fun when Papyrus is involved! As regular readers know by now, I’m obsessed with Papyrus. 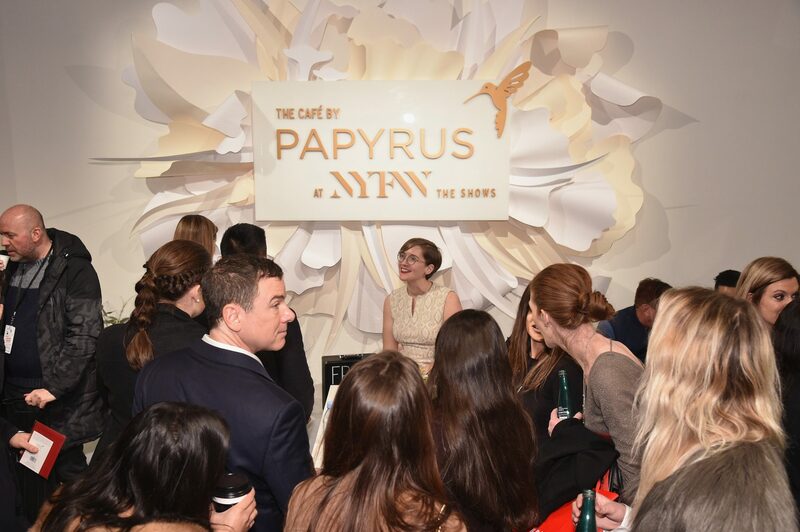 One of my favorite stops during NYFW is the Papyrus exhibit – you may not know, but they’ve been a part of NYFW for the past 10 seasons! I love checking out all of the fun and fashionable Papyrus cards on display. Every card is so beautiful and unique. 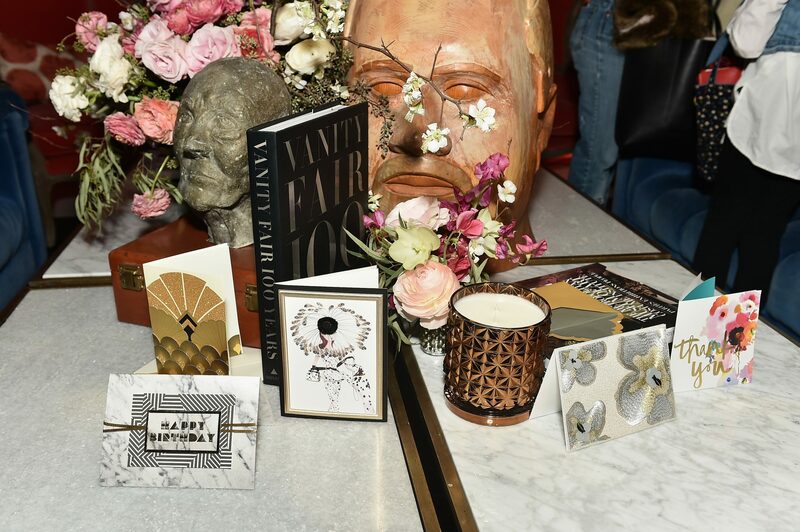 This season I was so excited to celebrate Papyrus, fashion, art, and creativity through their partnership with Christie’s, the famed auction house, for a special celebration to kick off NYFW: The Shows! hosted by the fabulous and multitalented Zanna Rassi! 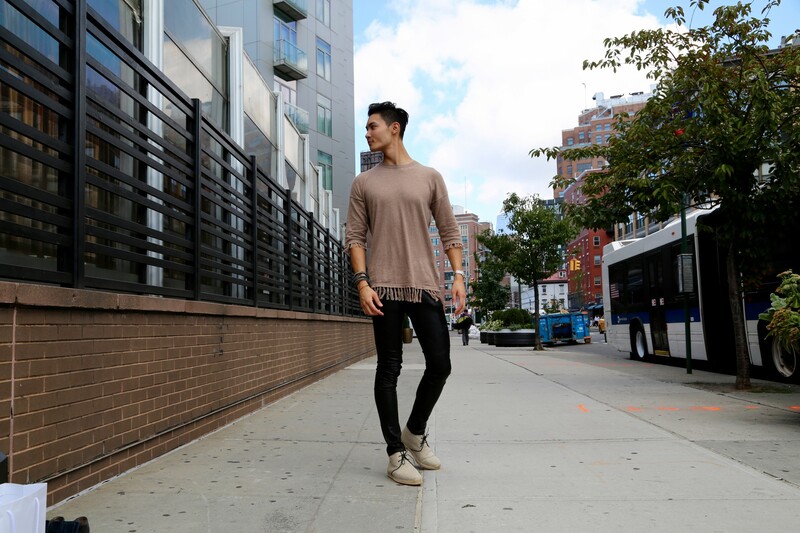 Fashion week is such a hectic and busy time – I’m always running around from show to show, so to save time I wore this look all day ;)! 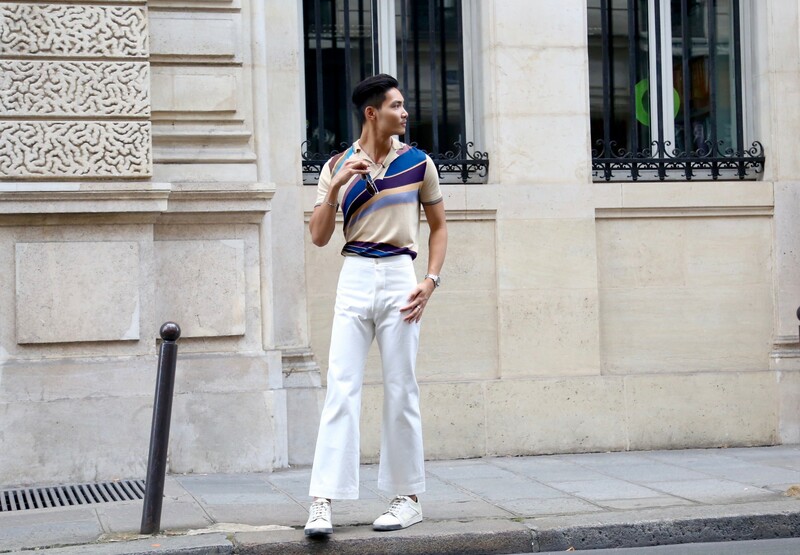 I love the retro feeling of this outfit, which felt very appropriate and in line with Andy Warhol’s pop art! 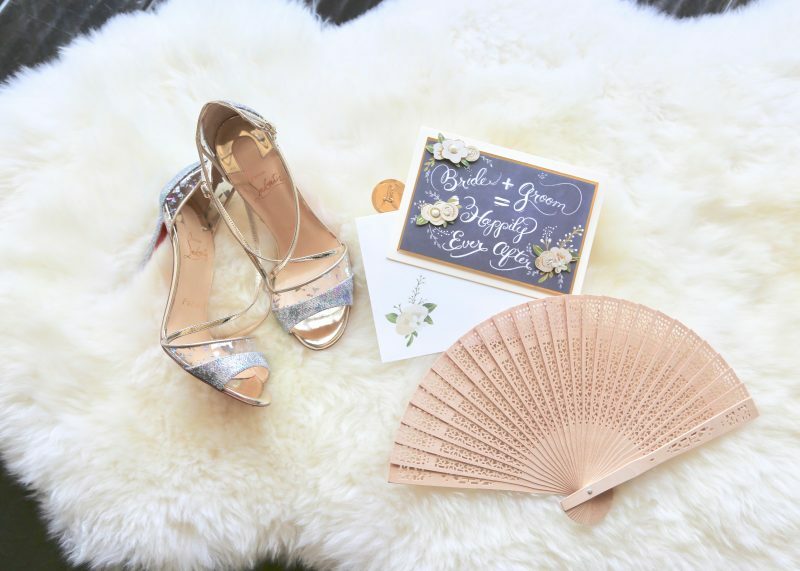 As soon as I arrived, I was greeted with a beautiful and super fun Papyrus card and a tray of champagne – who doesn’t love that? The entrance was absolutely beautiful and framed with so many flowers! 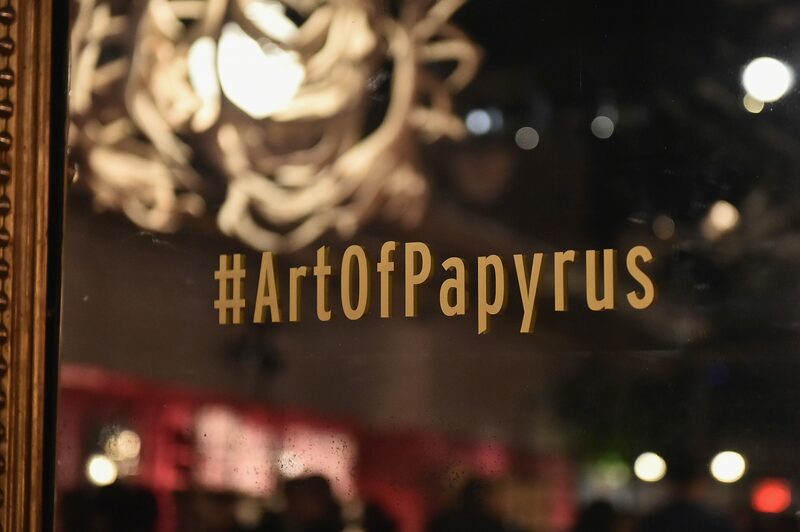 There were so many displays of Papyrus cards all over the room, and I had so much fun looking at all of the different designs during the event. The cards are just so gorgeous, and like fashion, always make a statement! The party had so many creative and fun events going on all night, and one of my favorites featured the amazing illustrators that were on hand: Deanna First and Veronica Collignon. These talented ladies were drawing live illustrations of guests! How great are these illustrations Veronica Collignon drew of my brother and I?! 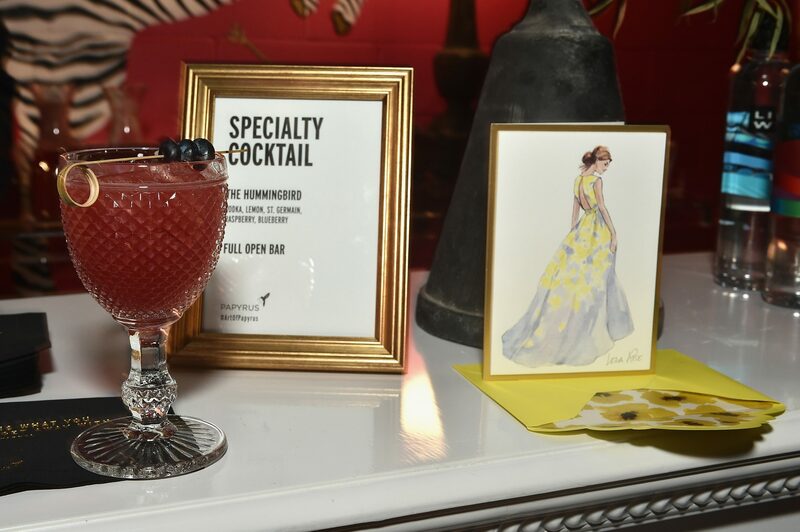 The bar was beautiful and there was even a specialty custom pink cocktail created for the event, which was delicious!!!! I may have had one or two (or three!)! 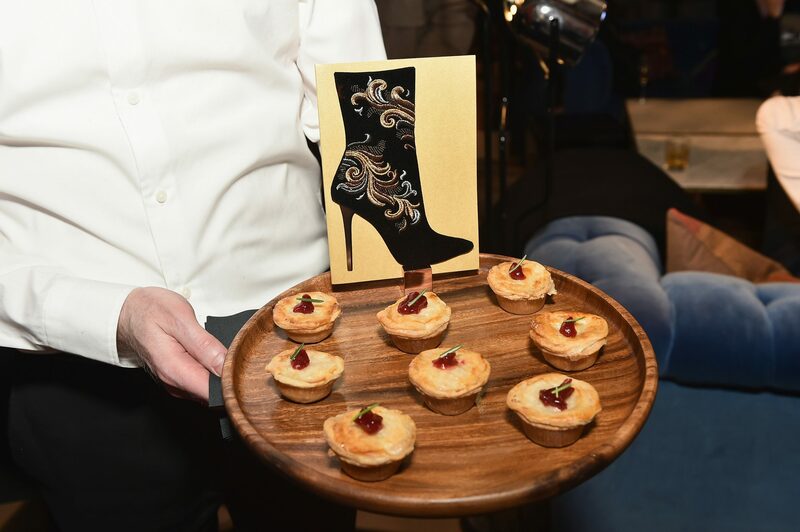 Every element of this part was thought out – even the hor d’oeuvres matched the cards!! 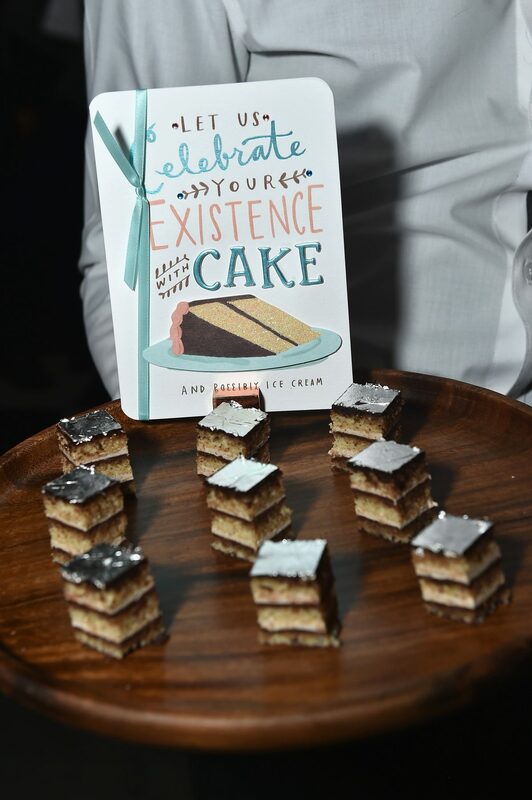 Here’s a picture of the yummy cake that was served – the perfect sweet bite! And here’s one more! This was one of my favorite cards of the night. It’s so feminine and the colors are beautiful, with just the right amount of sparkle! A special part of the night for me was my interview with Zanna Rassi, the lovely and extremely talented host of the event! 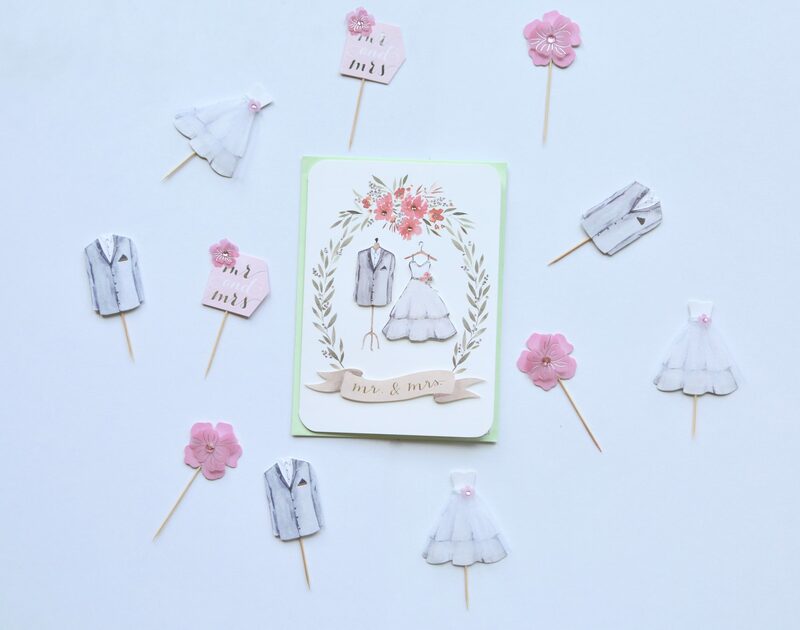 Zanna shares the same passion I have for Papyrus because they have the perfect cards for any and every occasion! Some other fun tidbits she shared with me included which fashion trend she wants to see more of (60s and 70s inspired looks) and which trend she wants to see fizzle out (high-waisted jeans)! She was so much fun to talk to and a fabulous host! 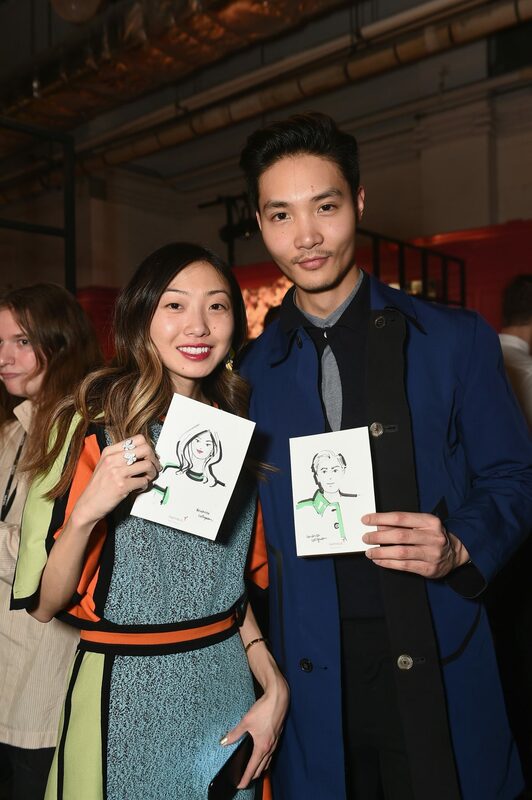 Because this was an Andy Warhol party, there were several Andy Warhol originals displayed, and Zanna drew out one lucky winner got to take home an original Andy Warhol Polaroid! Sadly, my brother and I did not win, but what an amazing prize!! 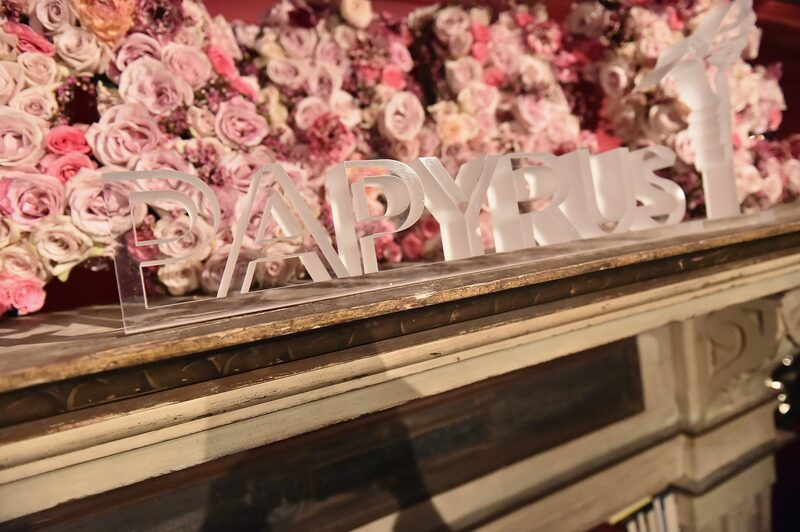 The overall décor was just gorgeous, and everyone was having an amazing time starting off fashion week with Papyrus! And as the celebration sadly was coming to a close - everyone got to leave with some surprises! This was definitely one of the chicer goodie bags I’ve received! I can’t wait to use all of the cards I got. 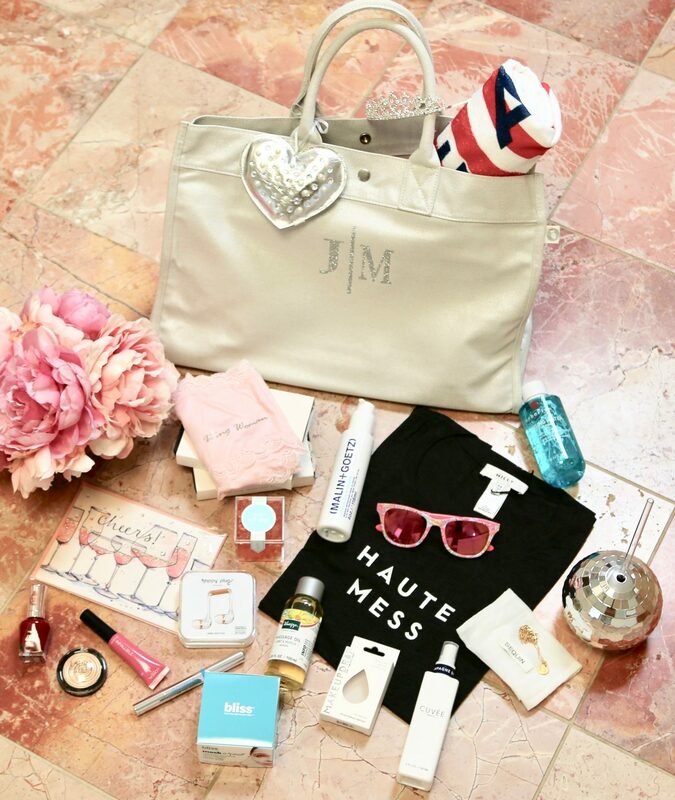 One special guest received a Papyrus goodie bag that included a bonus giftcard! Lucky! 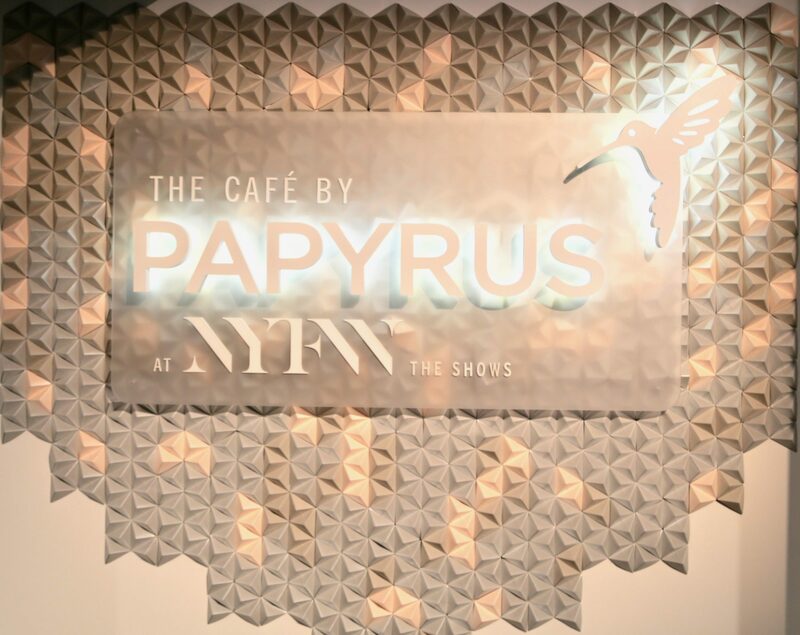 After the kickoff party, the fun continued at the Café by Papyrus during NYFW. 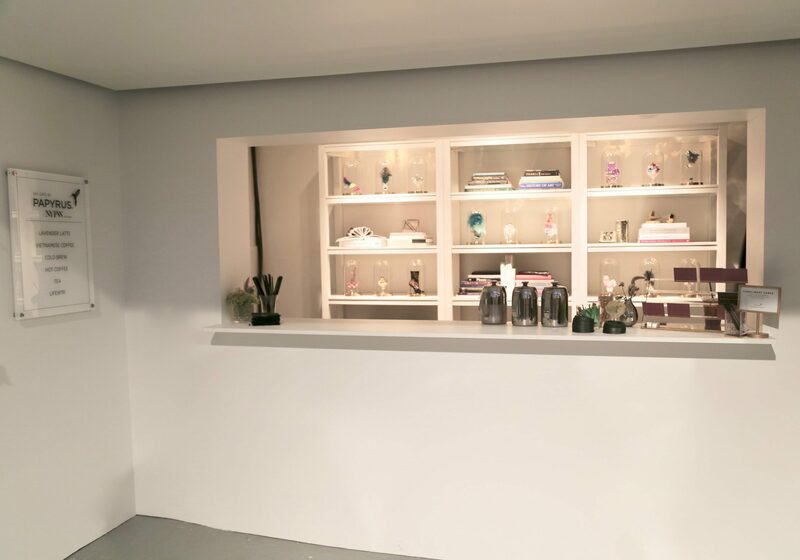 The Café was based in the center of Skylight Clarkson, where many of the shows are, and continued to display the Christie’s Andy Warhol collection! 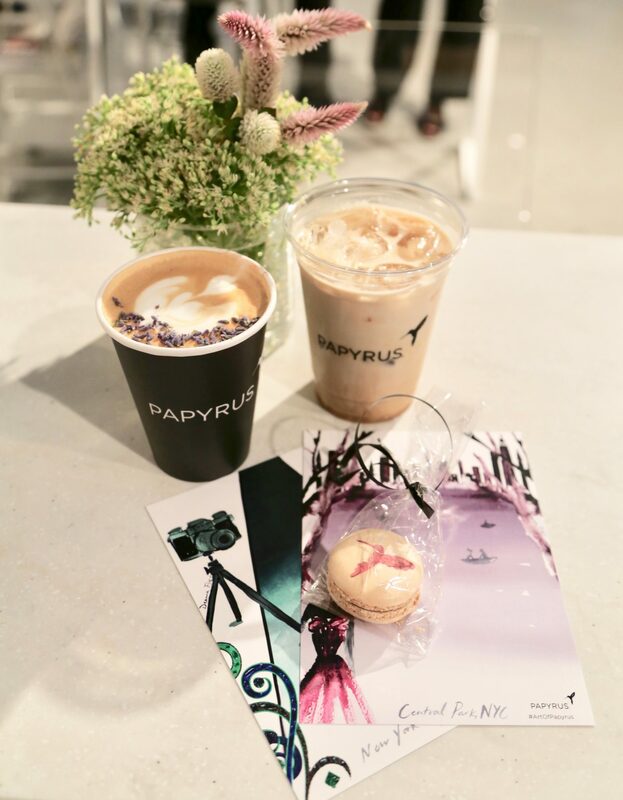 It was so nice being able to stop by the Papyrus Café between shows to grab a coffee, tea or LifeWater refreshment and mail out a gorgeous Papyrus card to a loved one! So convenient and fun. 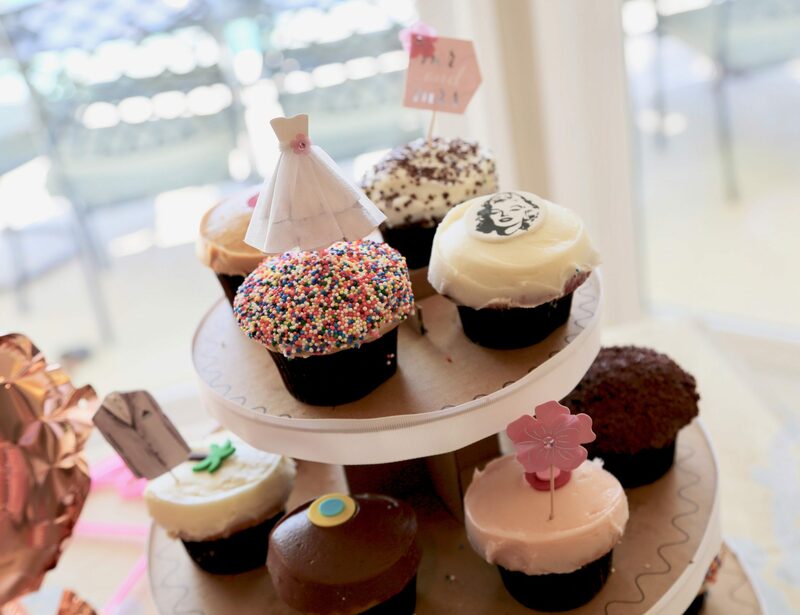 The Café also featured sweet treats like Maria Sharapova’s Sugarpova candies and a special Valentine’s Day themed experience! I loved popping in all week long! Here’s a look at my favorite Papyrus cards from the goodie bag! I love all the special touches every card has! 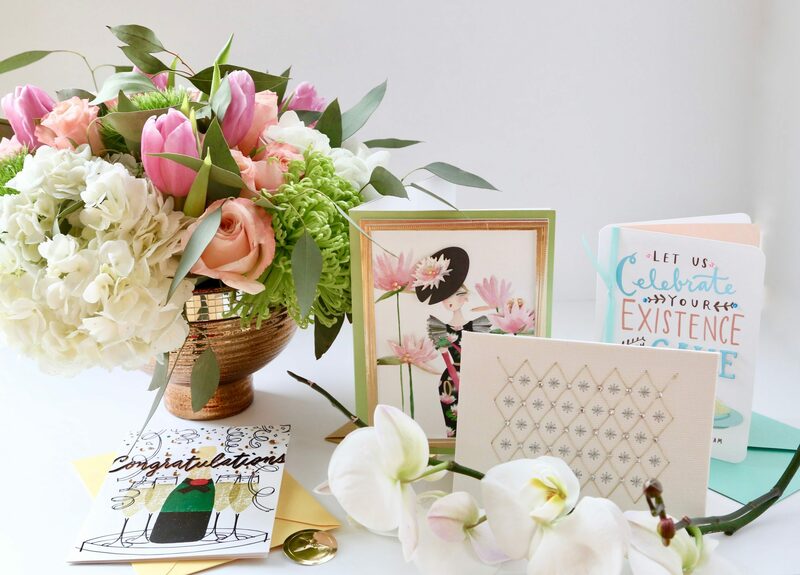 Shop the cards pictured above and just a couple of my favorite Papyrus cards below! There are too many favorites, honestly! Celebrate Your Existence Birthday Card, buy here. 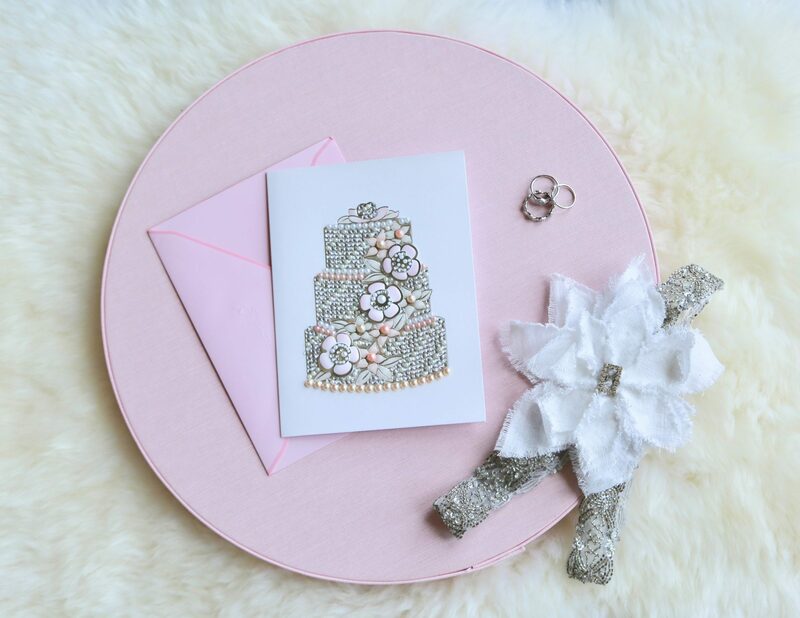 Frosted Accessories Birthday Card, buy here. Leather Cake Birthday Card, buy here. Honeycomb Engagement Ring Card, buy here. Bashful Lotus Gal Blank Card, buy here. Bejeweled Tiara Pattern Blank Card, buy here. Laser-Cut Japanese Garden Blank Card, buy here. Tray of Champagne Congratulations Card, buy here. Sushi Roll Trio Friendship Card, buy here. 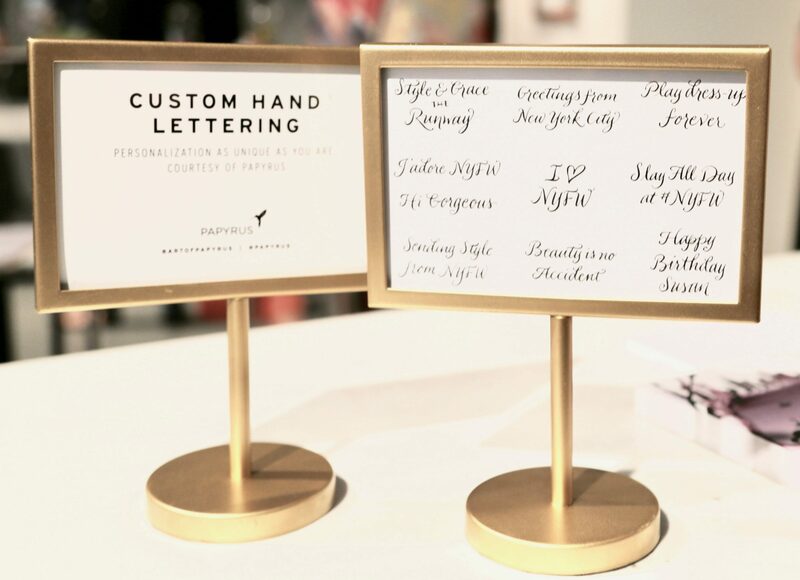 Each Papyrus card has a special and unique design that speaks to individual style and the beautiful connections that are shared with loved ones just like each individual designer that shows at NYFW: The Shows! There is nothing more personal and touching then sending a handpicked card from Papyrus to your loved ones! Valentine’s Day is not only for your significant other! 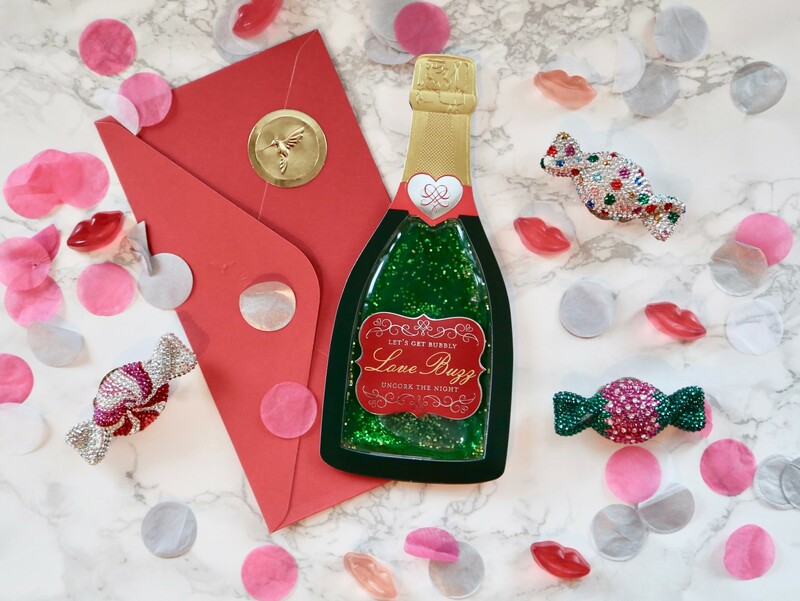 Now you can celebrate with your bests for Galentine’s Day! And as always, the only place I get my cards and wrapping is from my all time favorite, Papyrus!!! There is no secret Papyrus is my favorite and only place that I get cards for every occasion, but I definitely love their special occasion cards! Of course who doesn’t love flowers and hearts, but that’s not all Valentine’s Day is about. 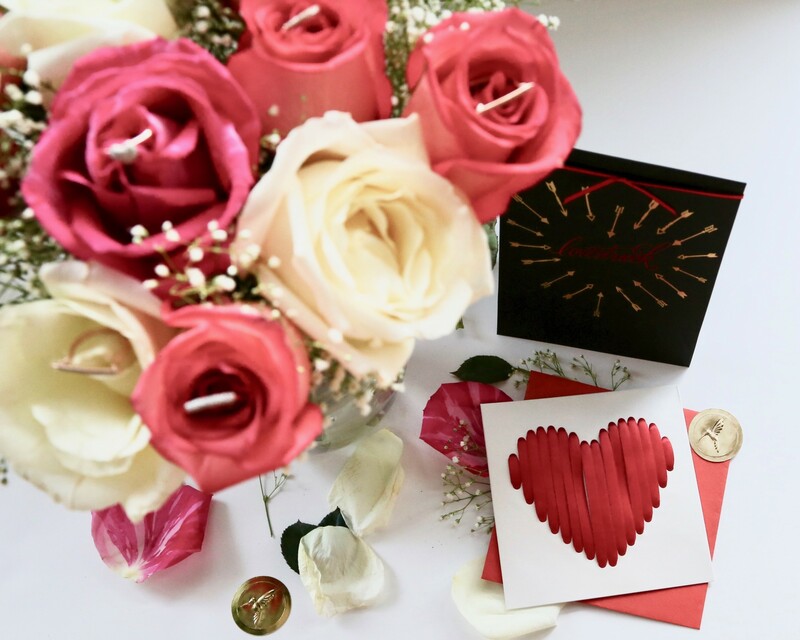 Papyrus gives an opportunity to truly embrace and appreciate real gestures of love through the thoughtfulness of a beautiful and unique message written from your heart!! 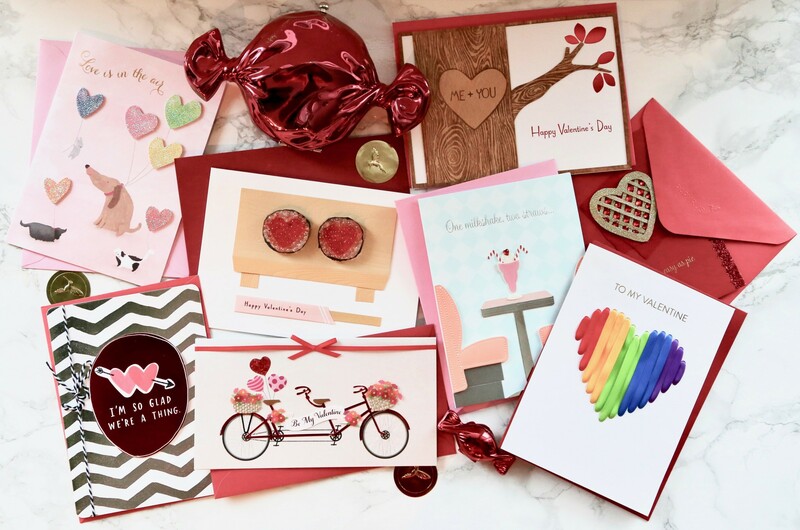 It’s crazy to think that there are 180 million Valentine’s Day cards sent annually as it’s the second largest card sending holiday!! 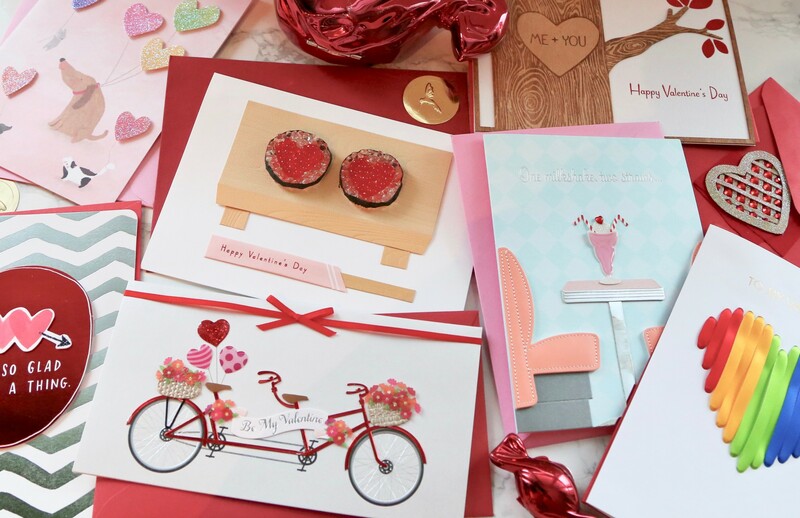 There are 173 cards in the Valentine’s Day collection this year, and over 30 new designs! These are some of my absolute favorites from the collection!! The details that Papyrus employs in their cards are just amazing. They add so much through these unique designs and meticulous details in every card. How cute is the sushi card? I’m just obsessed with them all! 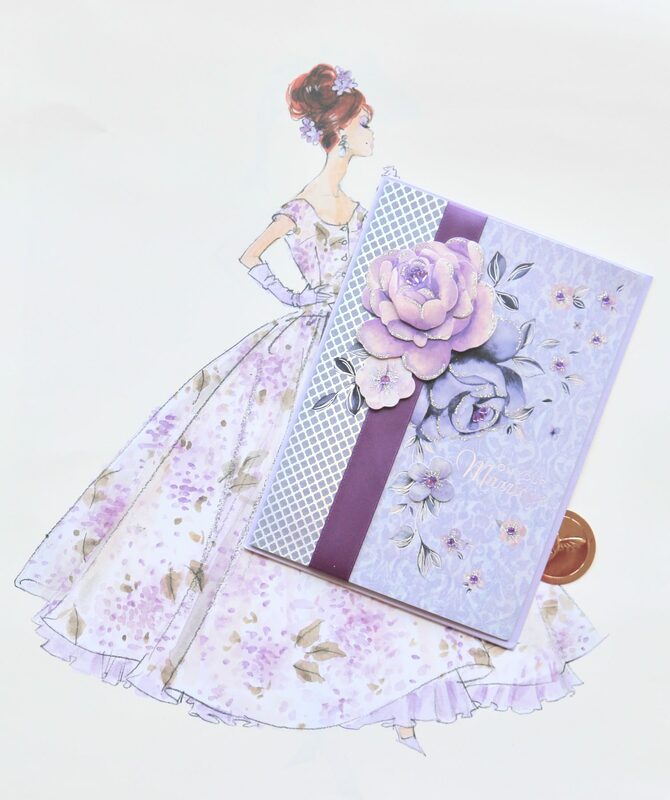 Apart from cards, Papyrus also has the perfect giftwrap products. They use the same kid of details with all their products so it carries over to their gift bags, tissue paper, bows, and ribbons! 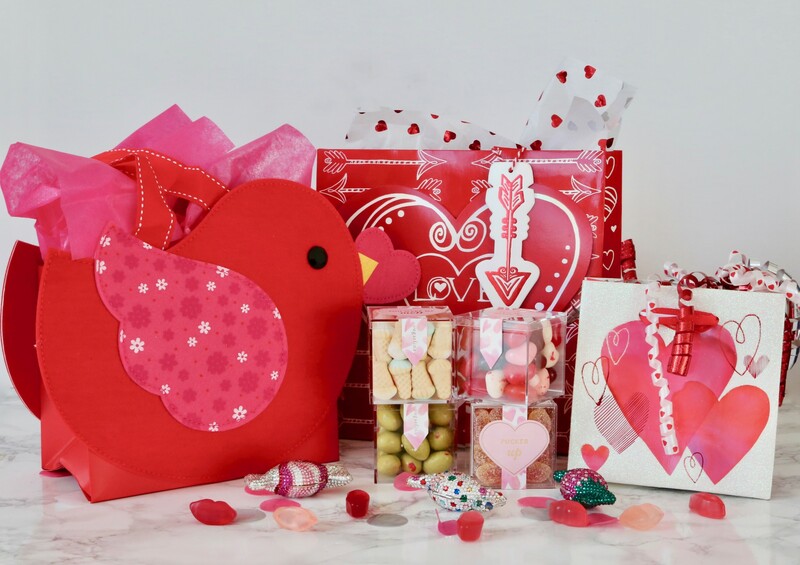 I just love sweet treats, so these were the perfect Valentine’s Day small goodie bags to put some candy in for my friends! I love to make each gift a little different, so I love alternating different tissue paper to personalize each one! Special moments with your special people! Just so many beautiful designs to choose from!!! I always spend hours picking out cards for my loved ones! Shop the amazing items I used and more below! 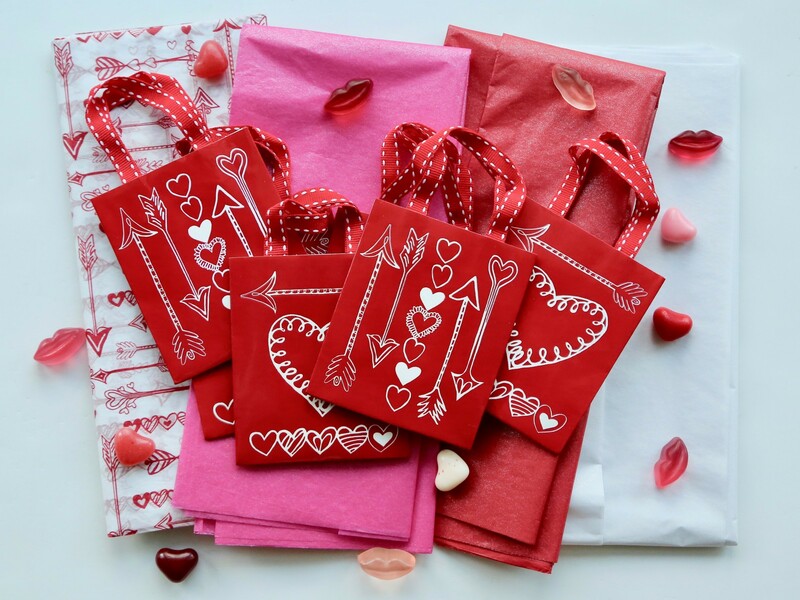 Valentine’s Day Wrap and Bags here! This is probably my favorite card. And just really shows how special their cards are. 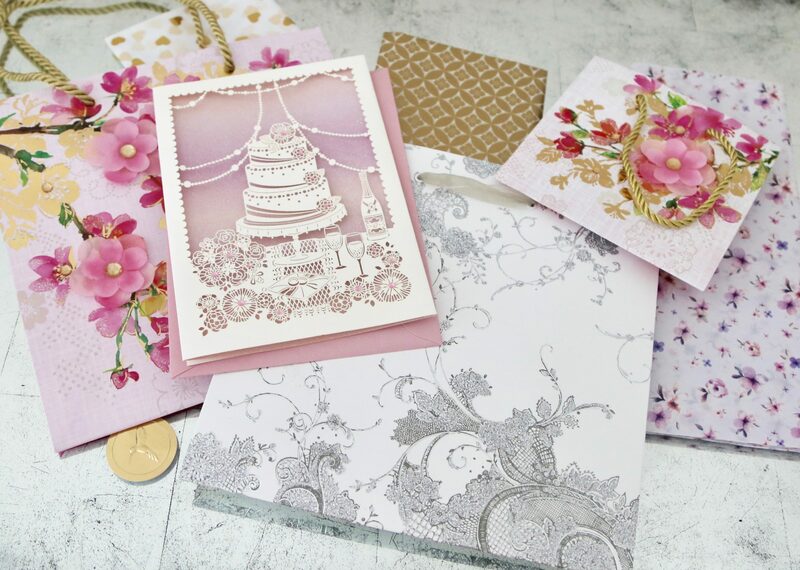 Papyrus puts so much thought into each card – you can’t find these kinds of designs anywhere else! Cards are always my favorite part of the gift because of the keepsake quality of it. You know that each card was specifically picked for the person. There’s nothing I love more then a gift topped with the perfect Papyrus card! Cheers! Happy Valentine’s and Galentine’s Day to you all! Hope you all have the most special day! 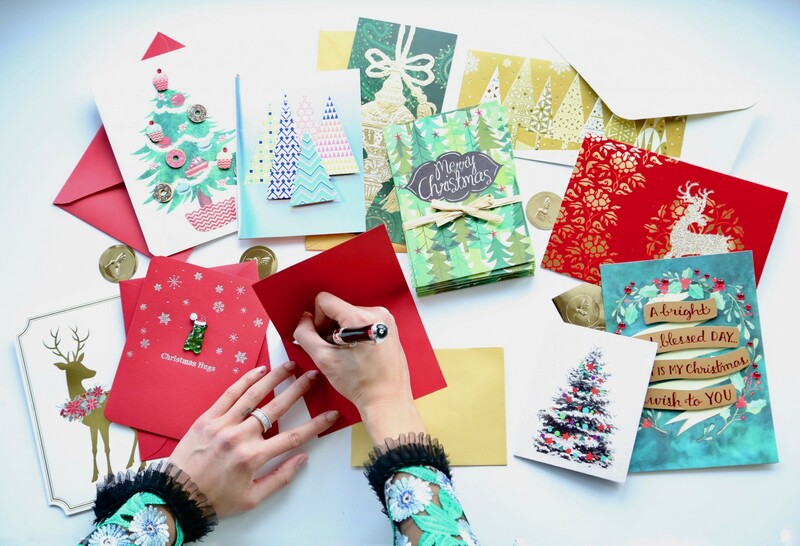 Everyone knows Papyrus is the only place I buy cards, so imagine my excitement when I heard that Papyrus was launching an entertainment collection just in time for the holidays! I’ve always loved Papyrus’s cards because of the unique designs and meticulous craftsmanship in each and every design, and I was thrilled to see that the Papyrus Entertainment Collection is no different. 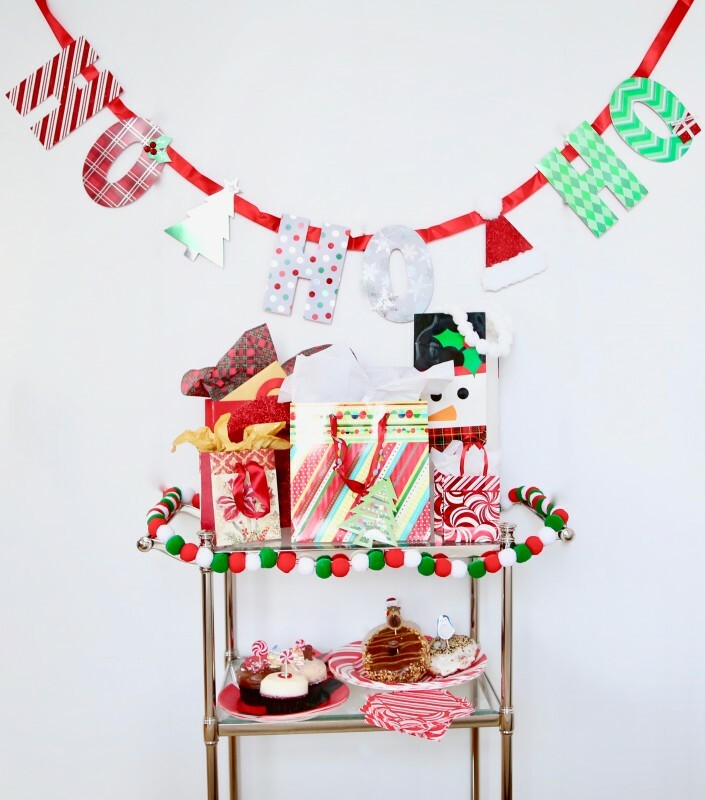 I recently held a small get together at my apartment for the holidays, and the decorations I got from the Papyrus Entertainment Collection were the perfect details to highlight my snacks and gifts! Take a peek at how I entertained with Papyrus! I was beyond happy with how everything turned out! It was so easy to create a fun and festive atmosphere when you start out with great decorations. I was so impressed with all of the handmade details that Papyrus is known for in all of the decorations. The details are what got me obsessed with the cards in the first place, and now I’m just as obsessed with their entertainment collection! 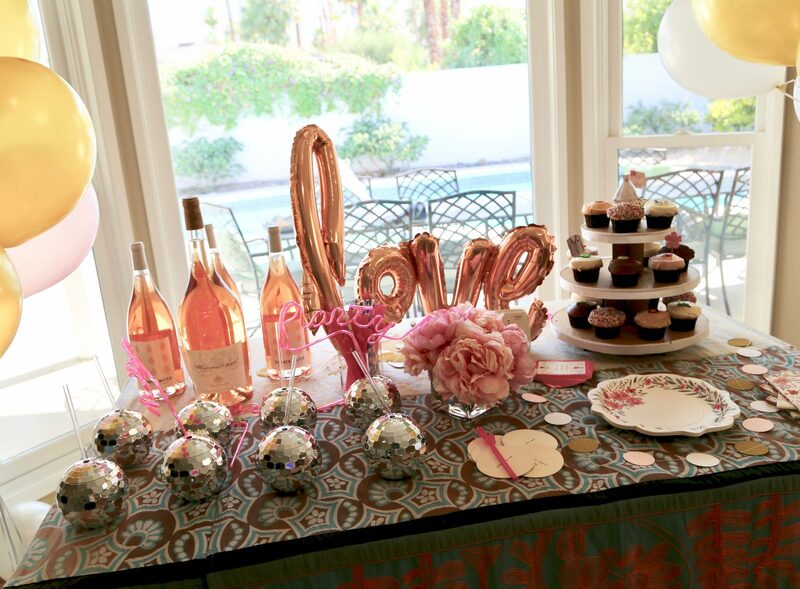 I just love the pom pom banner – it was so easy to decorate and transform my bar cart (I just taped it!). Who doesn't love presents? The perfect present deserves the perfect wrapping, and these bags and tags are so perfect for the gifts I plan on giving to my friends and family this year! 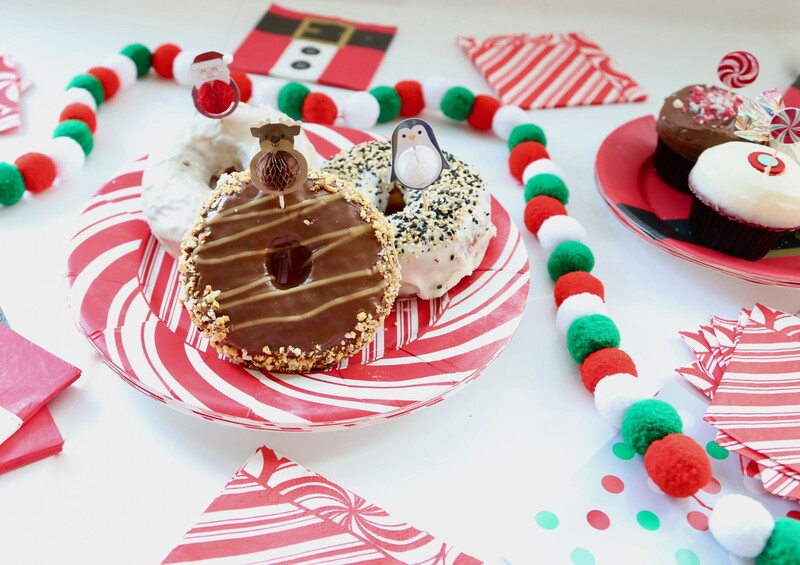 The food is everyone’s favorite part of the holidays, and I accented everything with these adorable plates and napkins, which add the perfect festive touch to my desserts! 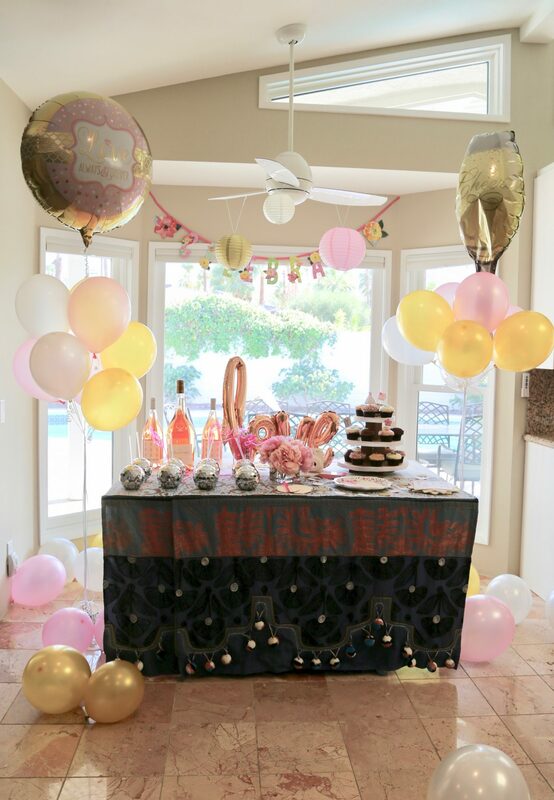 The pom pom banner was also a great decoration piece for the table! I mean! I’m just obsessed with these party picks!!!! The penguin is my favorite! 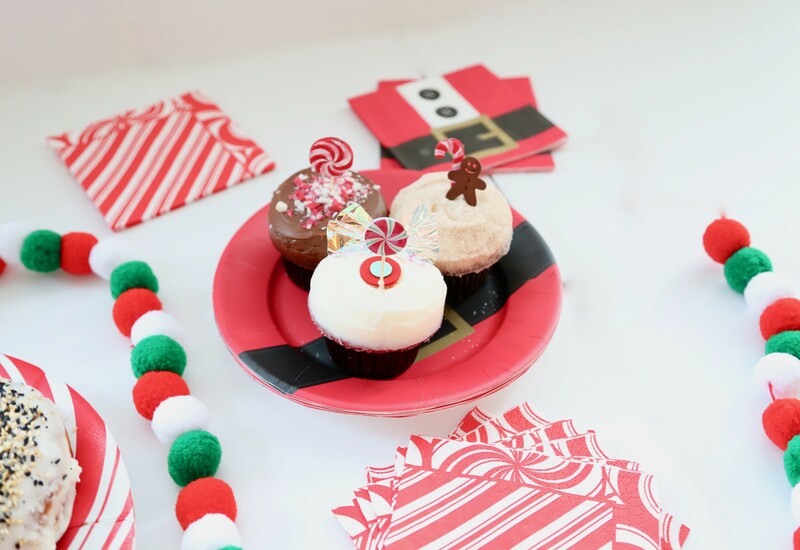 And how cute are these candy cane party picks I used to decorate my cupcakes? And of course, the holidays wouldn’t be complete without Papyrus’s beautiful cards. I always spend hours in the store looking for the perfect cards for everyone on my list. There is nothing I love more then a card from my friends and family, so I hope they feel the same when I write a card for them! And if you are anything like me, I’m always last minute so hurry and get your decorations, giftwrap, and cards!! They are all on sale for 50% off right now!! Shop the items I used below! I added in some of my other favorites too! 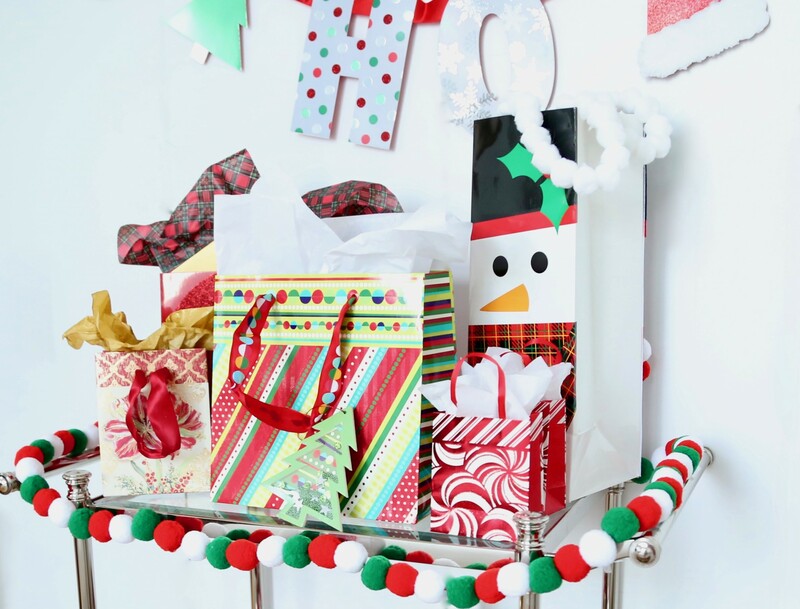 “Ho Ho Ho” Decorative Holiday Banner, buy here. Holiday Pom Pom Banner, buy here. Angel with Gifts Ornament, buy here. Green Sparkly Pig Ornament, buy here. 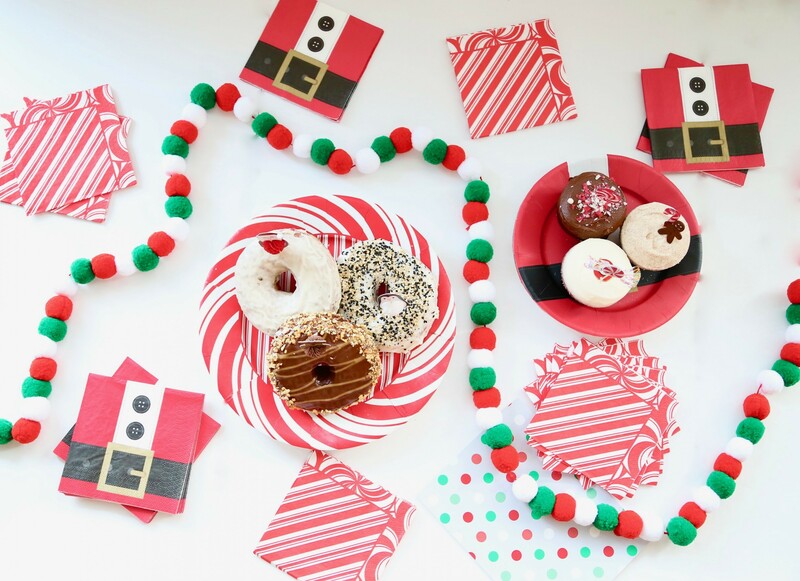 Peppermint Dinner Plate, buy here. Santa Suit Dessert Plates, buy here. Santa Suit Holiday Beverage Napkins, buy here. Peppermint Holiday Beverage Napkins, buy here. Blue Snowflake Beverage Napkins, buy here. Peppermint Party Picks, buy here. Honeycomb Holiday Critters Party Picks, buy here. Holiday Bloom Small Gift Bag, buy here. Jingle Bell Ornament Medium Gift Bag, buy here. Pattern with Tree Shakey Medium Bag, buy here. Treat Gift Bag, similar here or here. Felt Snowman Holiday Bottle Gift Bag, buy here. Plaid Tissue Paper, buy here. Red & Gold Metallic Duo Tissue Paper, buy here. Gold Foil Snowflakes Holiday Roll Wrap, buy here. Eco-Friendly Candy Cane Bow, buy here. Patterned Luggage Holiday Gift Tags, buy here. Red with White Pom Pom Ribbon, buy here. Handmade Geometric Neon Trees Boxed Holiday Cards, buy here. Geometric Garland Tree Boxed Holiday Cards, buy here. Reindeer with Wreath Boxed Holiday Cards, buy here. Handmade Shadow Box Scene Boxed Holiday Cards, buy here. Handmade Tacky Christmas Sweater Holiday Boxed Cards, buy here. Handmade Dog with Scarf Boxed Holiday Cards, buy here. Handmade Laser-Cut Happy Holidays Boxed Cards, buy here. Beaded Sequin Tree Christmas Card, buy here. Iridescent Ornaments Christmas Card, buy here. Hope you enjoyed a sneak peek into how I celebrate the holiday season. Happy Holidays to you all!! !